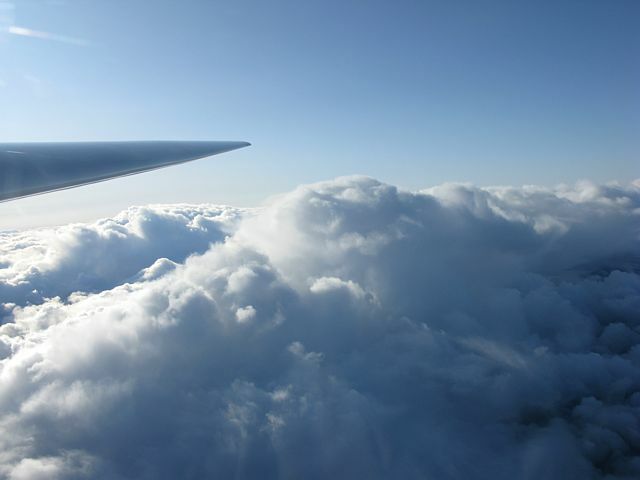 Click here to return to the Gliding 2009 Pictures page. 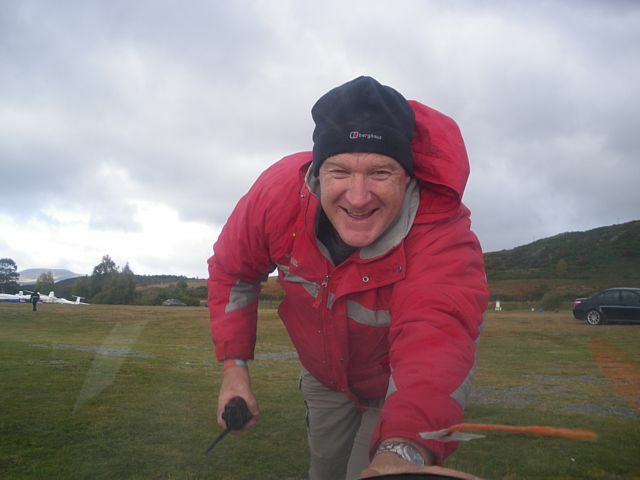 Click here to go directly to the Aboyne 2007 Pictures page. Click here to go directly to the Aboyne 2006 Pictures page. Click here to go directly to the Aboyne 2004 Pictures page. 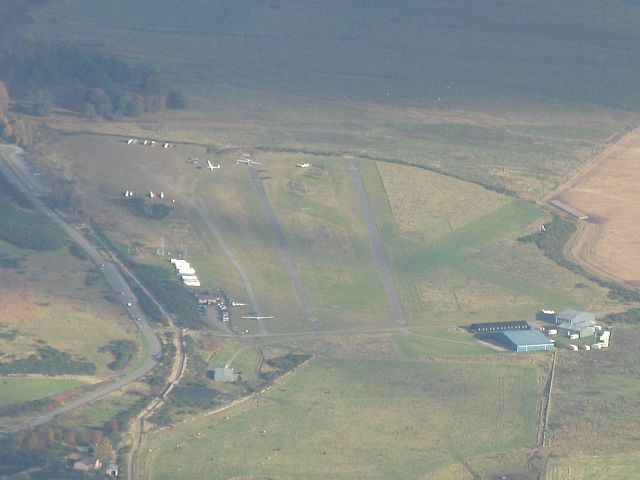 I was at Aboyne airfield (home of Deeside Gliding Club) for the third week of Lasham's annual expedition to this site. Alas the weather wasn't quite as good this year. I arrived on the 10th but it wasn't worth flying. 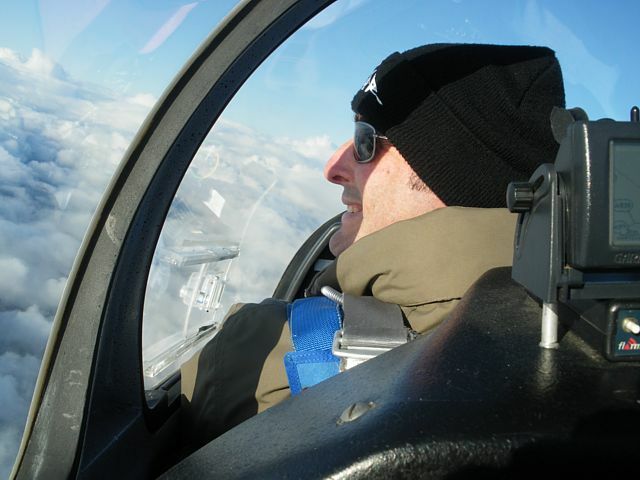 I did, however, get airborne in a K21 (431) on the 11th and took Rob Ward up with me on his first ever wave flight. Some first wave flight! 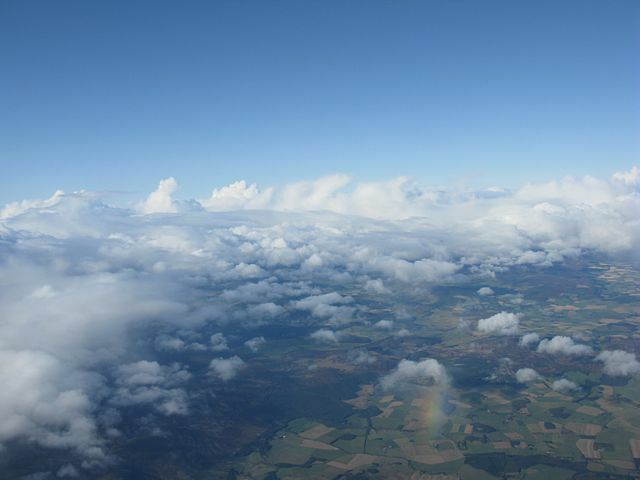 We released at about 3000 feet in the lee of Morven and climbed straight up to 19,900 feet. A 16,900 foot gain would have qualified for diamond height. On the 12th it was dead calm so I decided to walk up Lochnagar. See the Scotland 2009 pages for those pictures. Tuesday was soaking wet while Wednesday stayed too calm for wave. Thursday was yet another damp day until mid afternoon when a gap suddenly opened up. 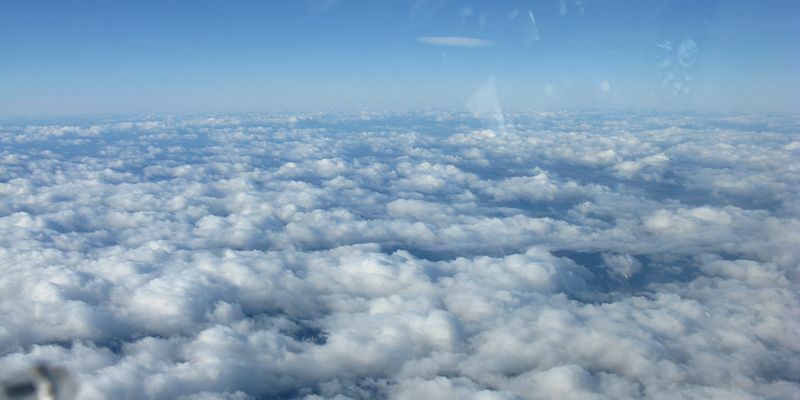 Steve Baker and I went up in 431 and got to 7000 feet before the gaps closed underneath us. 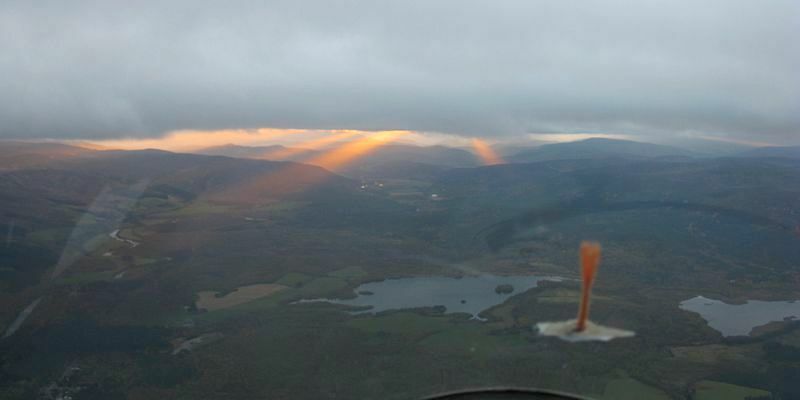 Fortunately I found us a hole 2km NNE of the airfield to safely descend through as sunset approached. 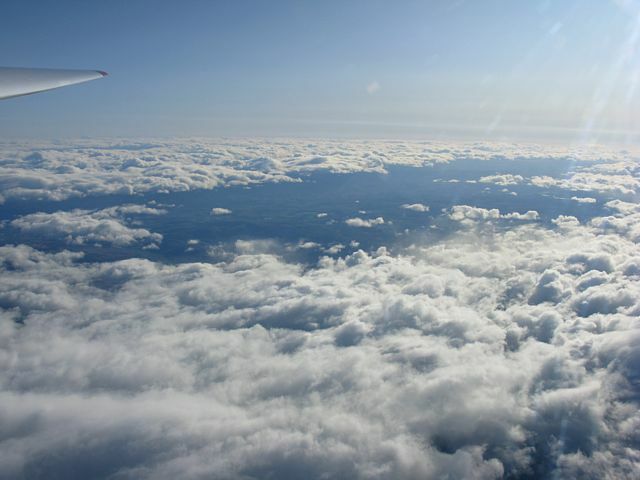 Then on Friday 16th I had a flight in the Discus B (SH4). At first I fell down failing to connect with the wave. 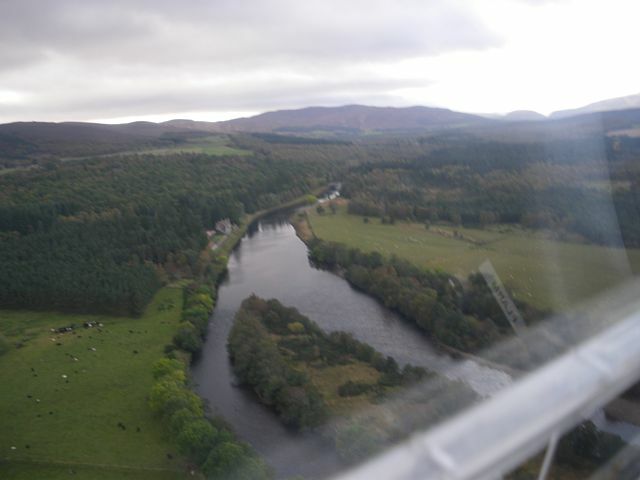 I thought I was going to land but found the ridge Southeast of Ballater was working. 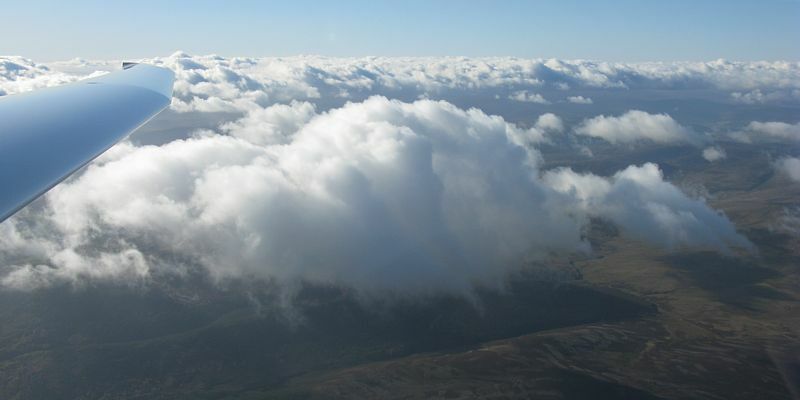 After sitting on there for a while I managed to thermal my way up to cloudbase at just over 3000 feet. Then on the South side of Ballater I managed to connect with wave. At 7000-8000 feet I tracked West up the Dee to Braemar before jumping North a bar and finding more wave in the lee of Derry Cairngorm (NNW wind). From 7500 feet I went all the way to 19,500 feet. Then a pleasant wander back towards the airfield. The 17th was calm and sunny with high pressure sat over us so everyone disappeared during the morning. I headed homewards at lunchtime, stopping at Carlisle overnight on the way back. 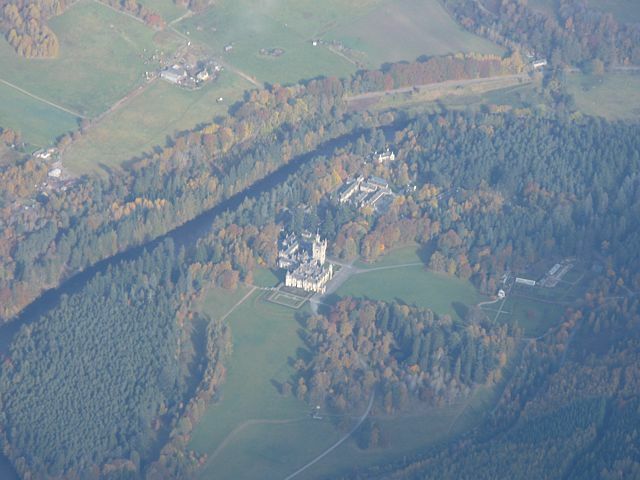 Please click here for pictures taken prior to arrival at Aboyne. A slightly showery day today, but with a nice Northwesterly breeze and a good wave profile to the air. I launched in K21 431 in the afternoon. My P2 in the back was Rob Ward. 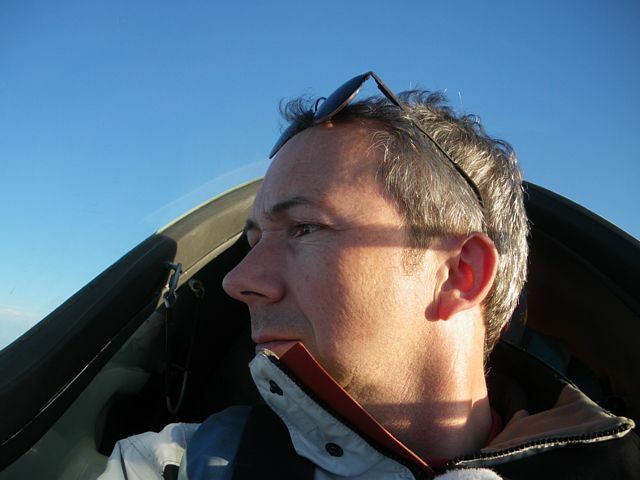 He had been up in the morning for a site check but only had a short non soaring flight. 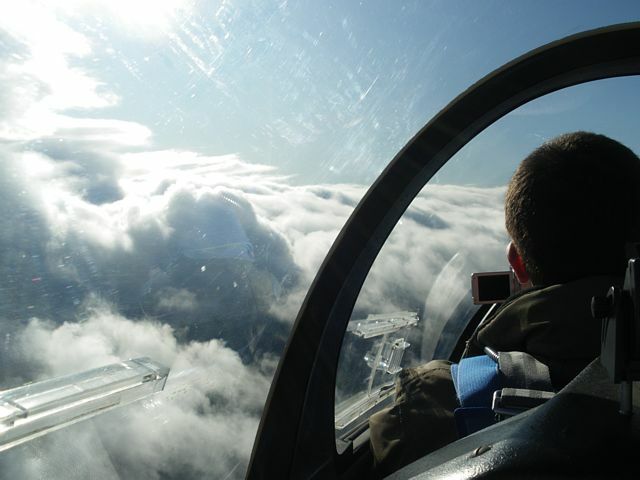 This was his first ever wave flight. And what a first wave flight it was! The tuggie kindly towed us straight into the wave. 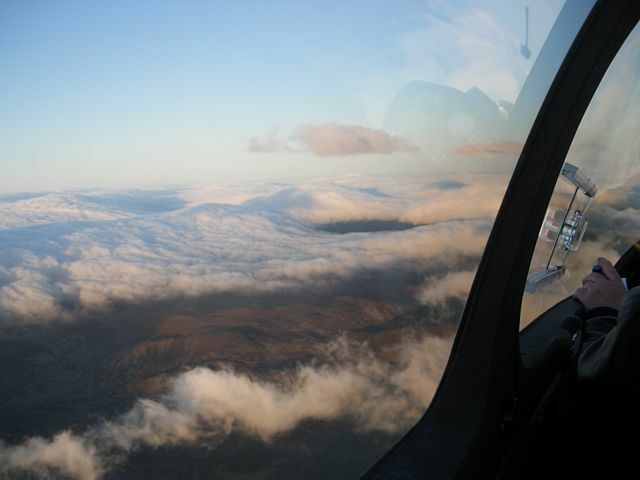 We released at about 3000 feet near the Lochs, in the lee of Morven, and straight away were in good lift. The wave box above was open and we climbed steadily all the way to 19,900 feet above Aboyne. So the flight would have qualified for diamond height. 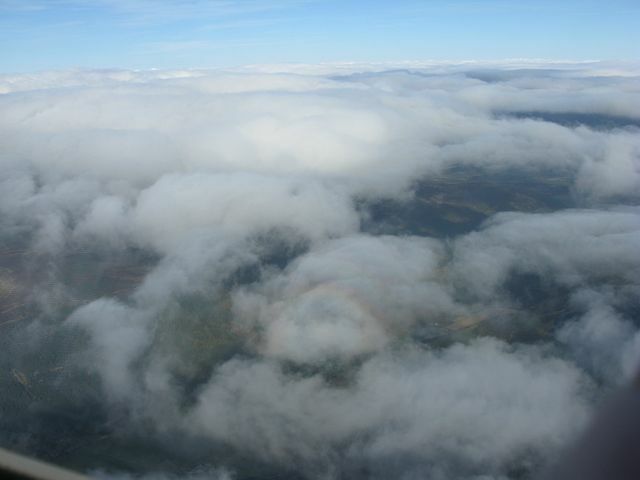 As we started to descend we flew over to Braemar and then back via Corgarf. 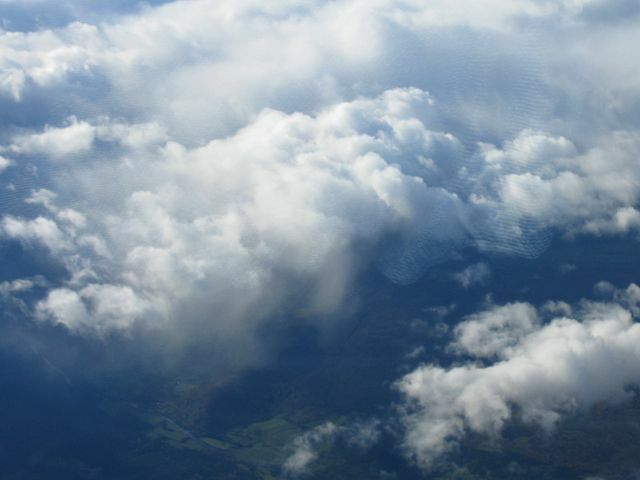 All the while showers were building underneath us providing us with a lovely cloudscape below. 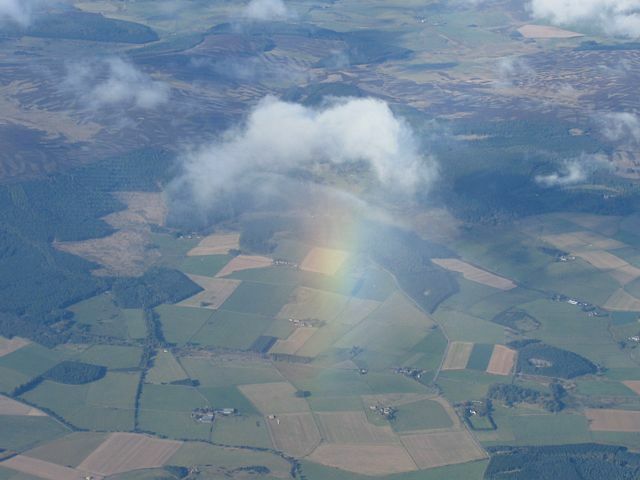 On the way back down a shower was coming in from Morven and we did get a nice view of a lower rainbow. We landed after 2 hours 16 minutes rather cold but in jubilant moods. For me it's great to be back! For Rob it was awesome to experience the legendary wave. 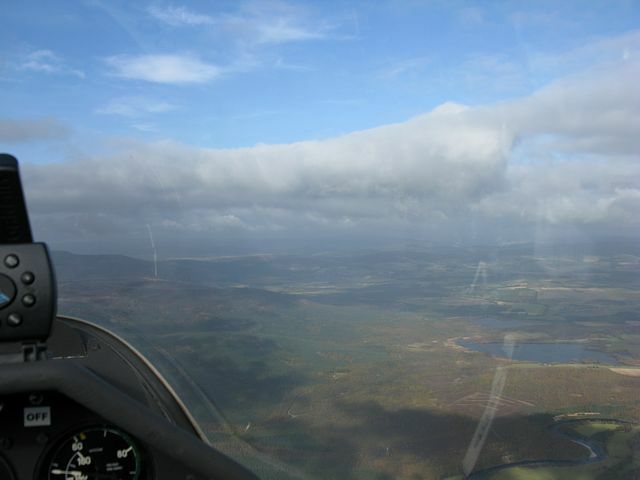 That shower over Morven hit the airfield just as we put the gliders in the hangar afterwards. 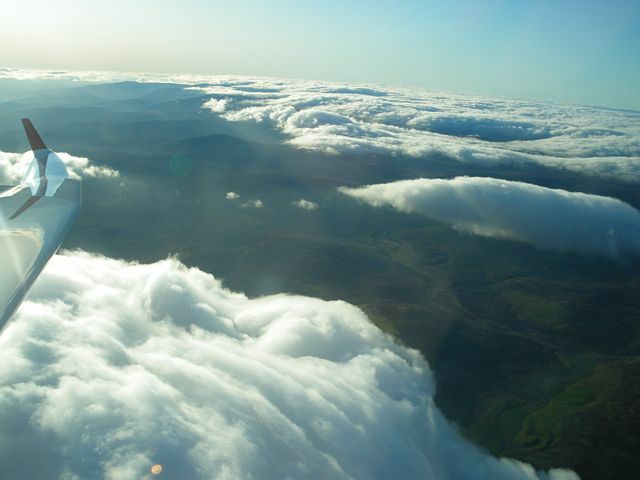 Back in Deeside wave, and climbing above cloudbase. It's awesome to be back! 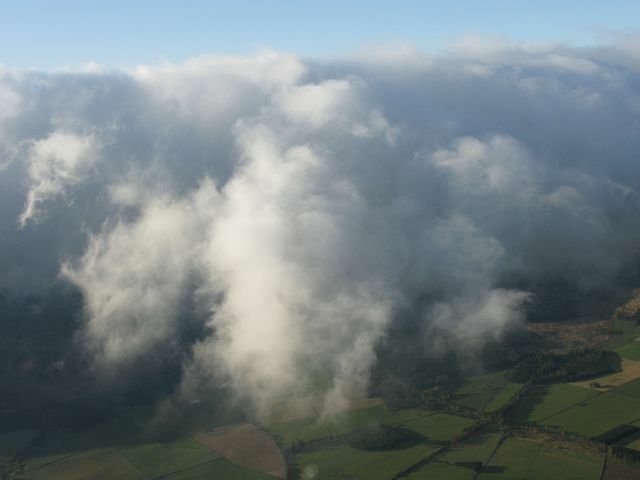 Clouds towering above us, but not for long! 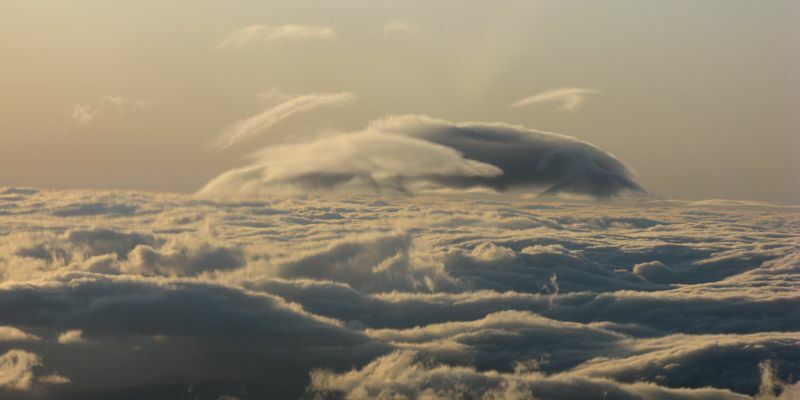 Surfing up past a lenticular cloud. Gazing north towards distant showery towers. 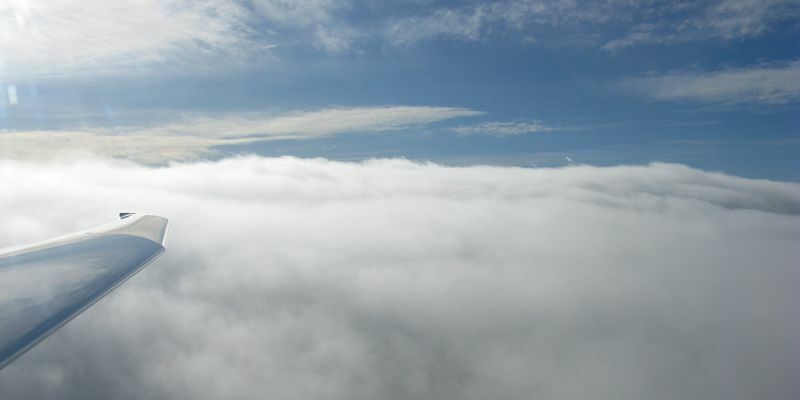 Just above cloud tops (around 5000 feet) the lift is quite strong. 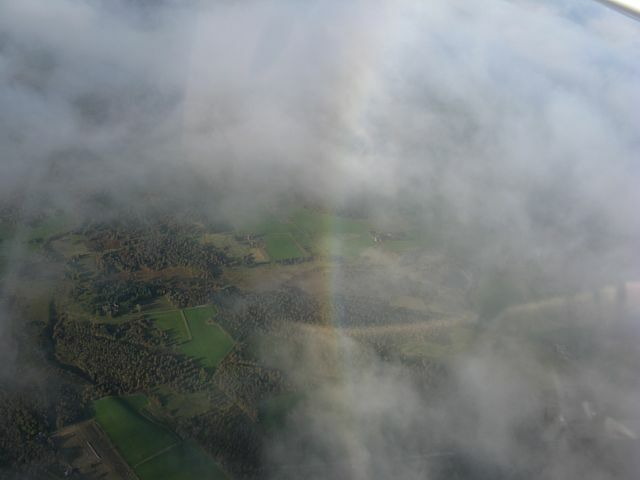 The first of several rainbows below us. 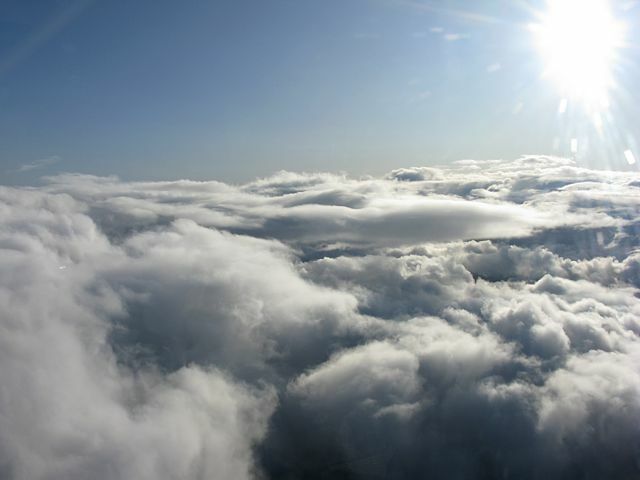 Looking round a busy cloudscape as we climb steadily higher. Showers building below us. 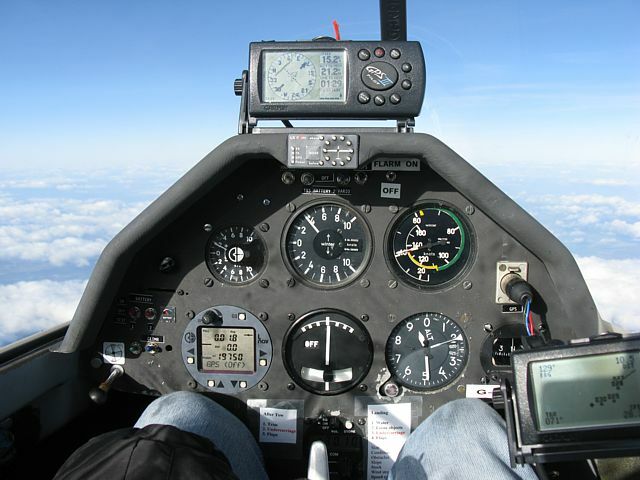 Rob and I above 20,000 feet QNH. 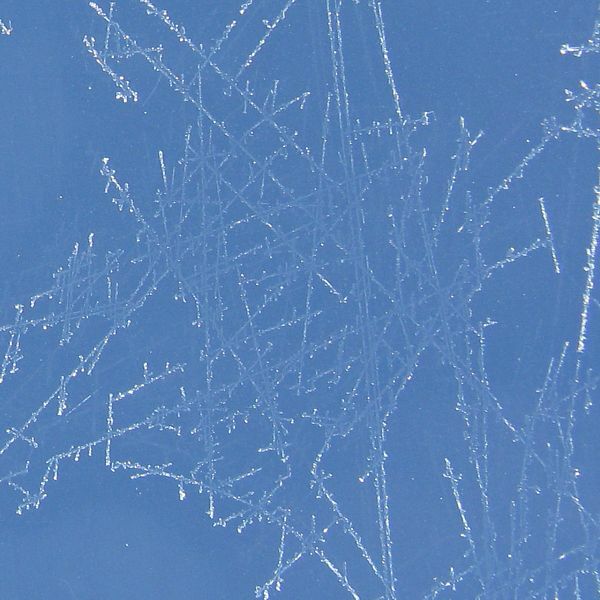 You can see the ice crystals on the canopies. We were both wearing canulas delivering oxygen to keep us alive and sharp in the thin air. 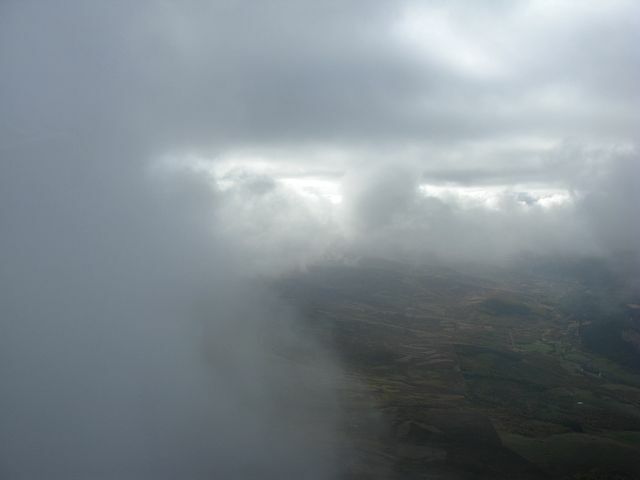 I believe that is Loch Tay to our South glinting through a gap in the clouds. 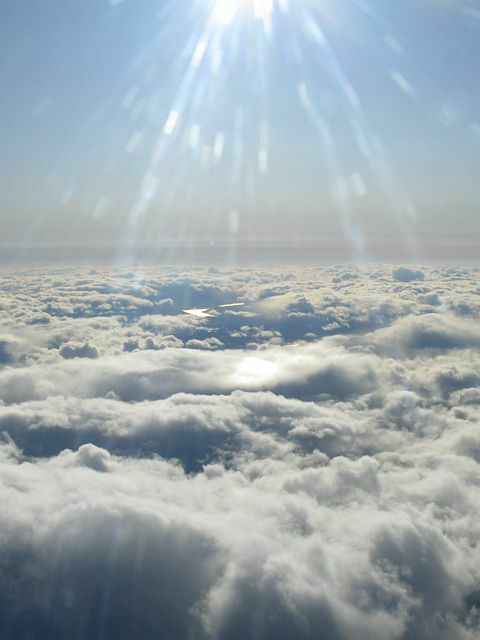 In the middle of this picture is a subsun. It was brighter than it looks in this picture. In the Morven area I took two accidental panoramas. A 100 degree 4 shot panorama and a 3 shot panorama. 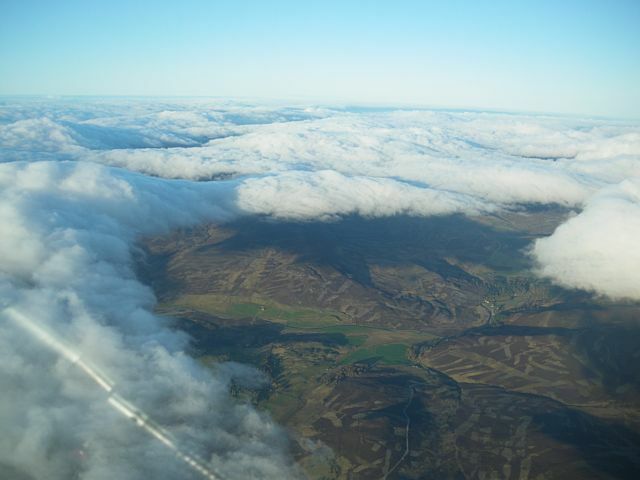 Both show the Morven shower as we fly close by turning Corgarf after visiting Braemar. 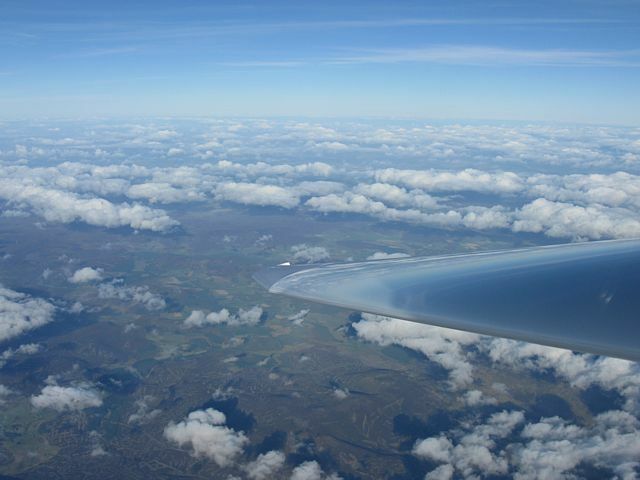 Admittedly in the 4 shot panorama the wing tip looks like another glider flying into us but that is our wing honest! 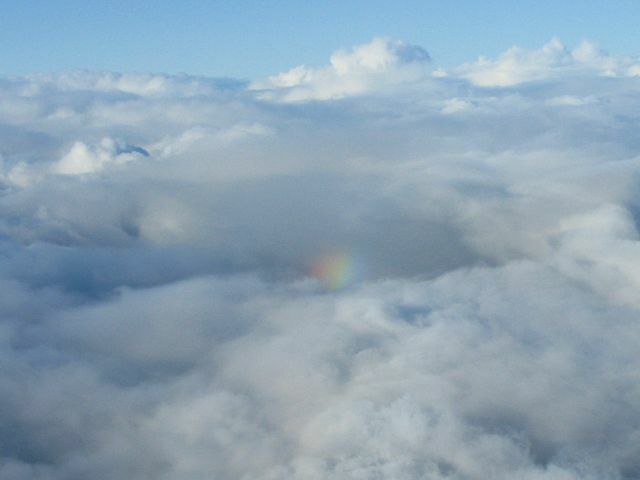 Another faint rainbow as we look down on a light shower. A spectacular 2 shot panorama of the shower. This is my favourite of the panoramas despite the camera reflection. 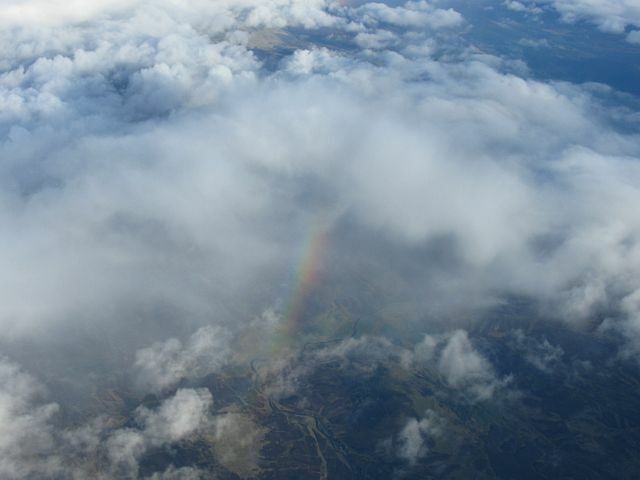 Another rainbow as we descend. More views of the shower as we descend near the Lochs. Tarland. 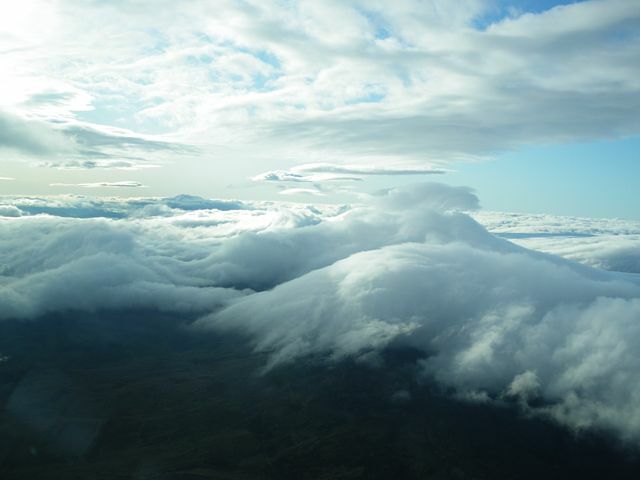 More spectacular cloudscapes as we drop below the cloud tops not far from the shower. 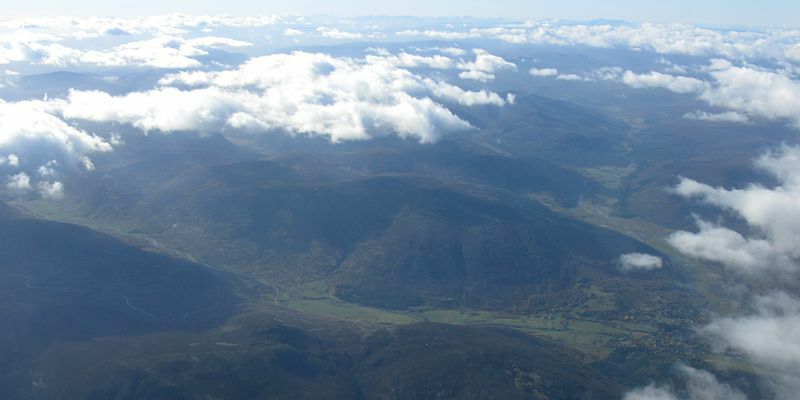 Deeside Gliding Club awaits us below. 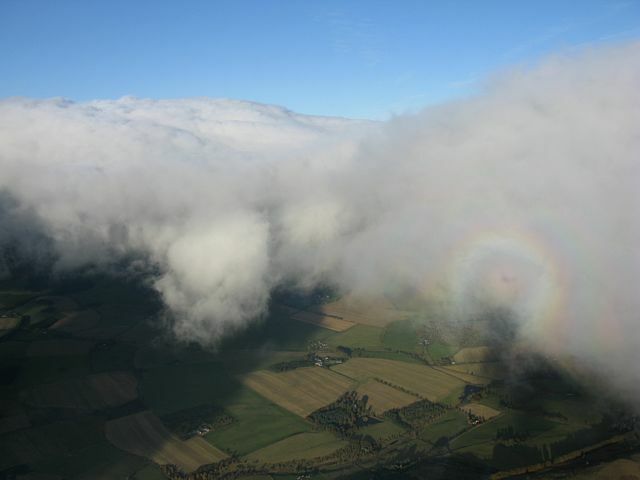 We descend close to a shower which results in a spectacular lower rainbow. One final panorama before the flight ends. Colin Watt helping push us into line at the start of the flight. Pictures taken on tow. Very low over the Dee, and a nice tug shot. So that's what the back of my head looks like. 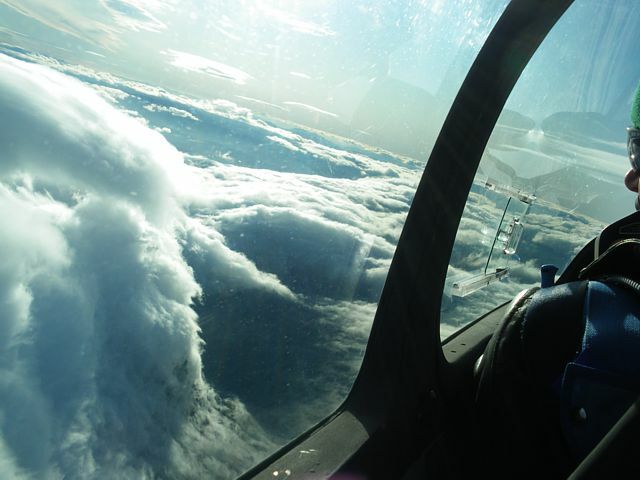 ;) Climbing past the towering clouds. 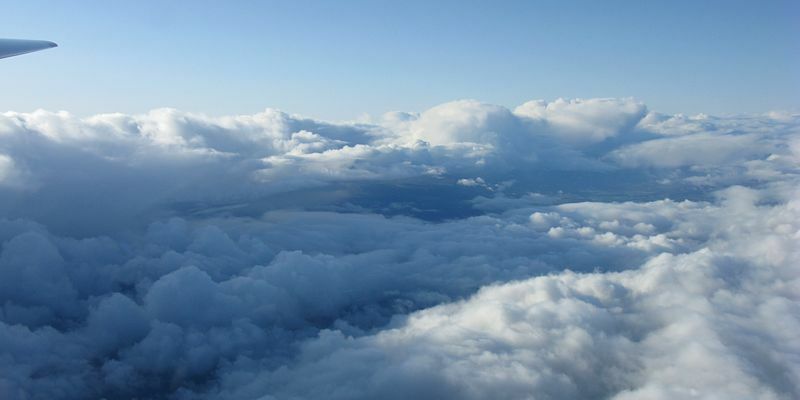 Emerging at the cloud tops. 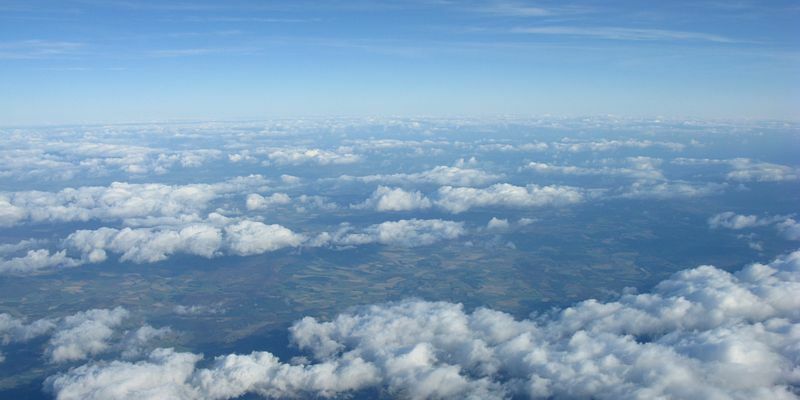 19,000 feet above the airfield and climbing gently. Just 900 feet from our highest point. Me looking round with a cheeky grin. More awesome cloudshots. Mid afternoon a gap unexpectedly opened up between a trough and a cold front. After mroe than 3 days of calm and unsoarable conditions this was a sight for sore eyes. We didn't launch until about 4pm but it was most certainly worth the wait. I went up in the K21 again, and this time took Steve Baker up with me as P2 in the back seat. We managed to get to about 7300 feet before the gaps closed between us. 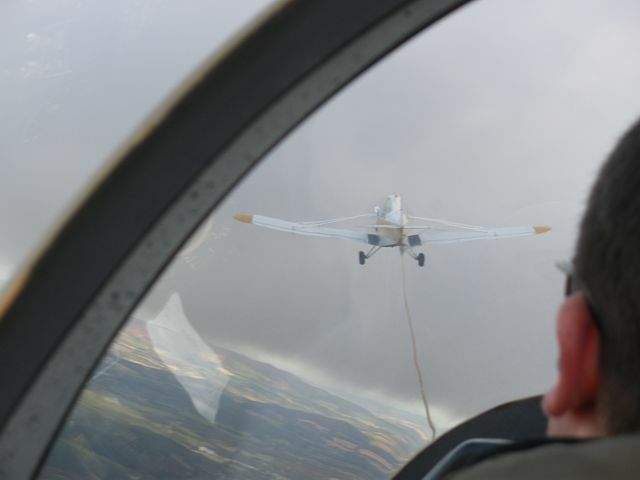 Then with my GPS reliably showing me where we were, I raced down a 'furrow' in the cloud to find a gap 2km NNE of the airfield. We descended there and got down safely just as the sun set 1 hour 52 minutes after launch. 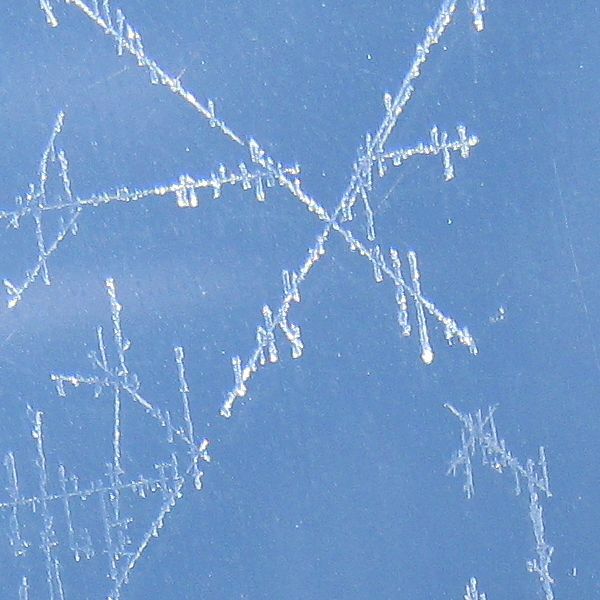 The gaps had closed as moisture from the incoming cold front arrived. After dark it did start raining. But by then we didn't care as we don't fly after dark, and we'd had an unexpected corker of a flight. Again the nice tuggie towed us straight into wave. 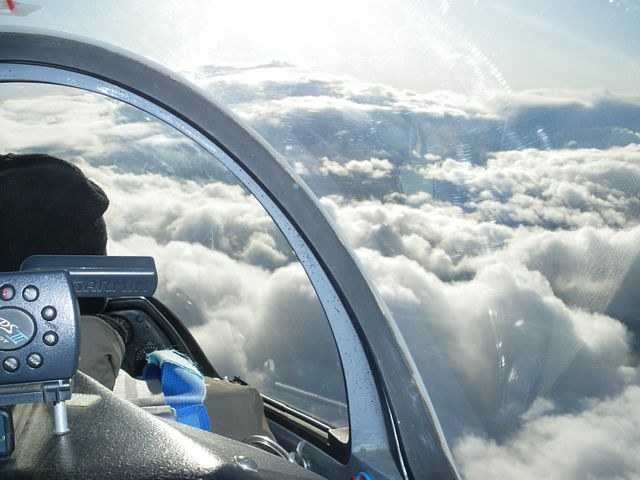 We released at 2400 feet. 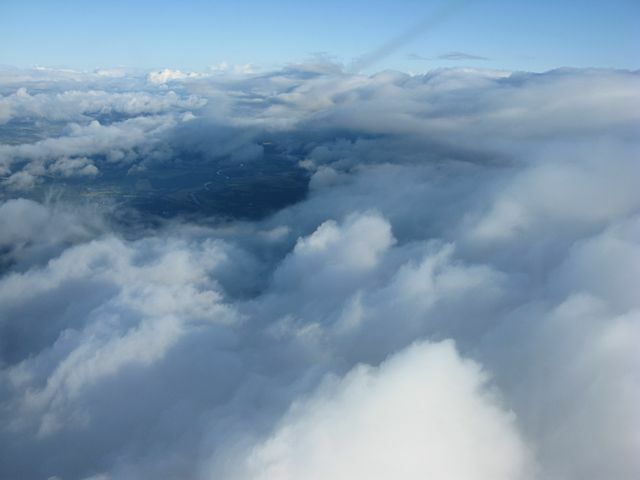 At first we did struggle, climbing to over 3000 then dropping back to 2800 feet, but then we soon climbed away above the clouds. Once again the lift is strongest around the cloud tops. 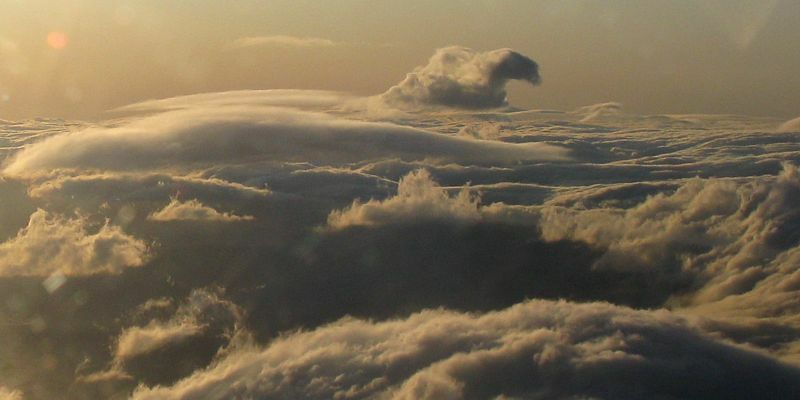 Some interestingly contorted clouds aeen from above. 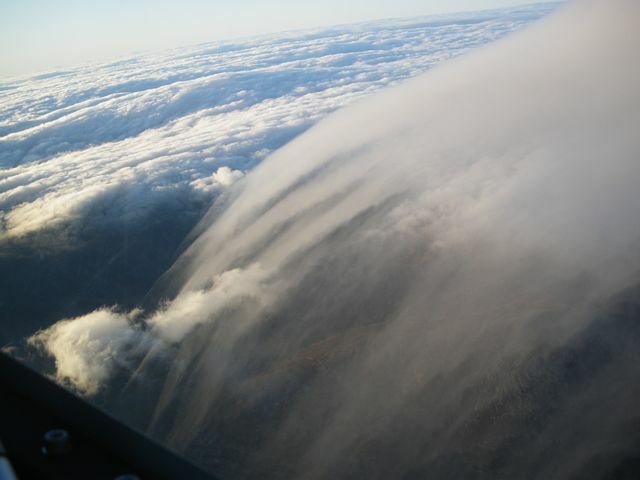 These rotor clouds were spectacular. They were rotating rapidly (horizontal axis) and maintaining a lovely constrained shape. Howard and Rob in the DG1000 above us. 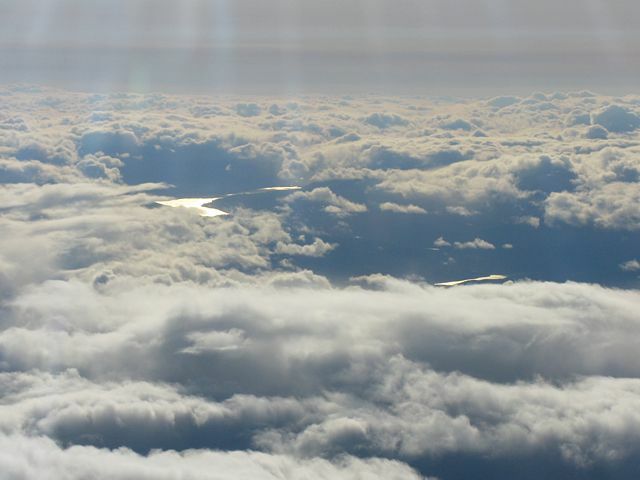 The Lochs seen through a gap in the clouds. 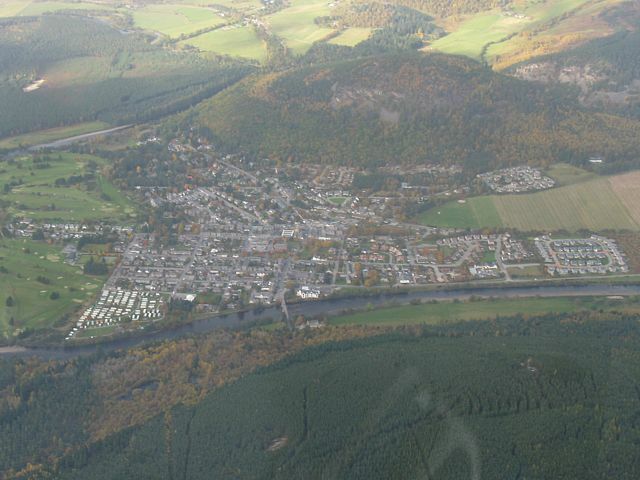 Ballater from the Northeast. To the north the increased cloud cover from the cold front was already evident, but Deeside for now remained wide open and safe to continue soaring. This cloud was also visibly rotating. Rising on the right and sinking on the left. Indeed we found some wave above the rising side. 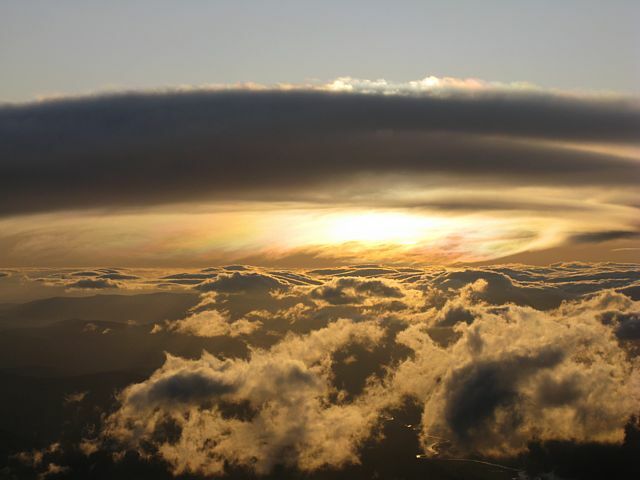 Lenticulars forming to the West as the sky glows with golden hour colours. 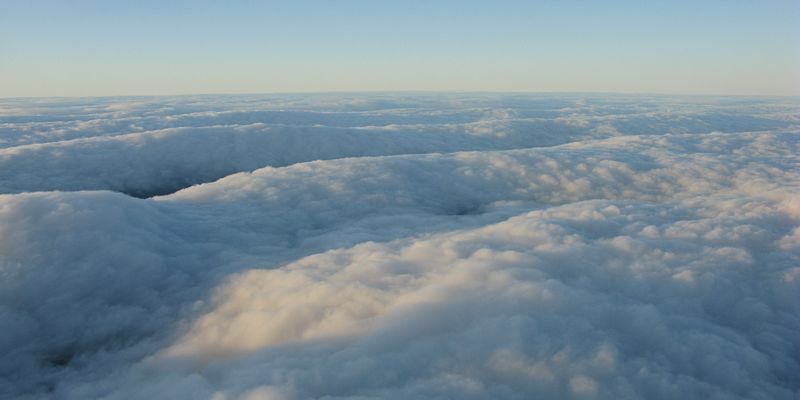 Keeping an eye on the spectacular ripples in the more closed cloud to the north. 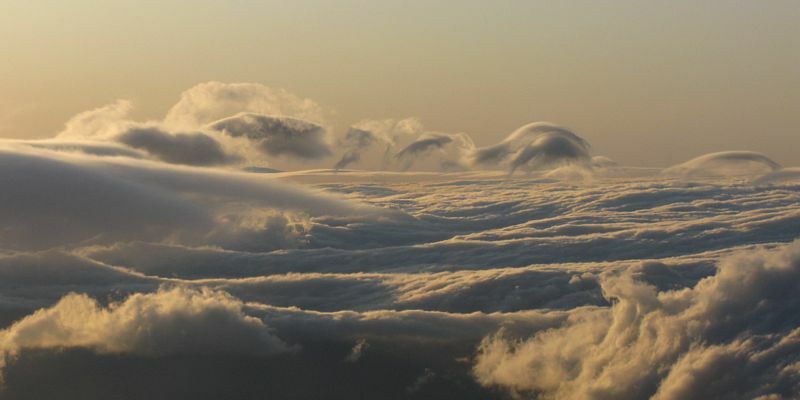 One lenticular seems to fall back on itself, while others form some contorted shapes. Apparently this is due to the wind not increasing enough with height, so the wave collapses on itself a bit. 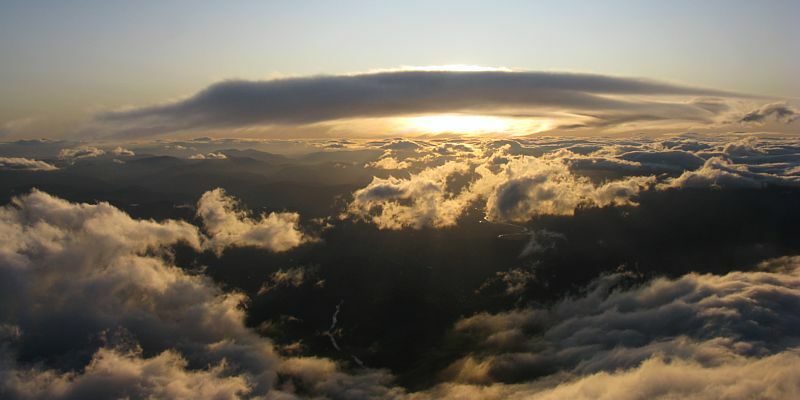 A lenticular forms closer to us. We go to investigate. 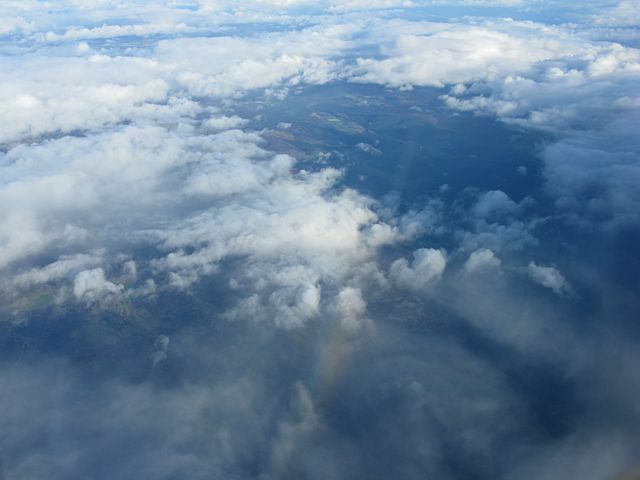 There is beautiful irridescence as the low sun shines through it as we pass. Ragged rotor clouds below it silhouette nicely in the light. And then the gaps below us closed rather suddenly! 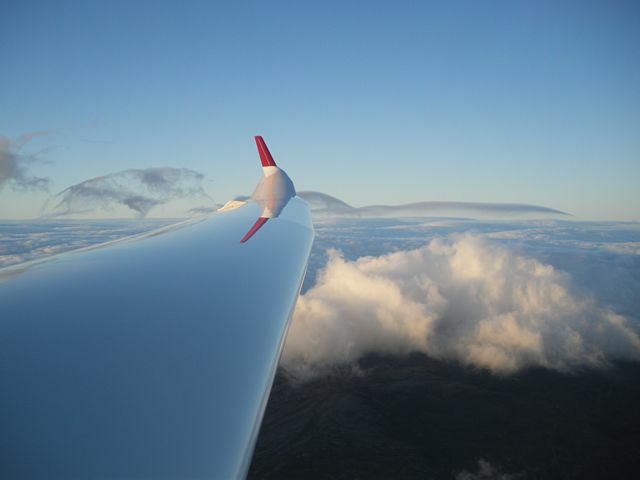 As we raced back towards the airfield I succeeded in accidentally taking a 4 shot 100 degree panorama from wing tip to nose showing the spectacular undulations in the cloud effectively revealing the shape of the wave. 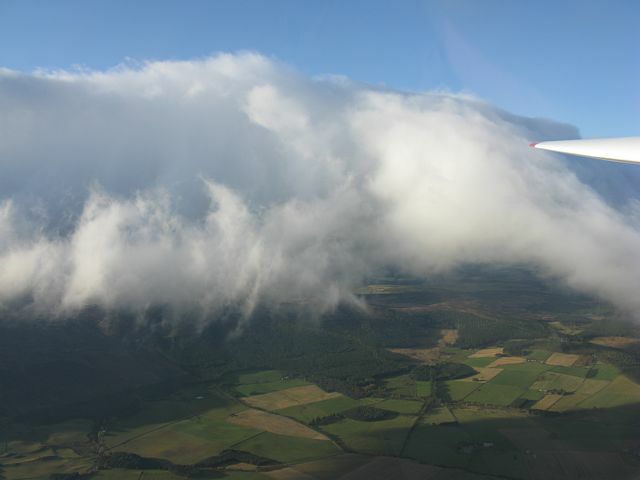 We just passed a hole West of Ballater, but with cloudbase only 3000 feet I thought it was a bit marginal to get back from there. I could just see a hole further East and so raced down a 'furrow' towards it. 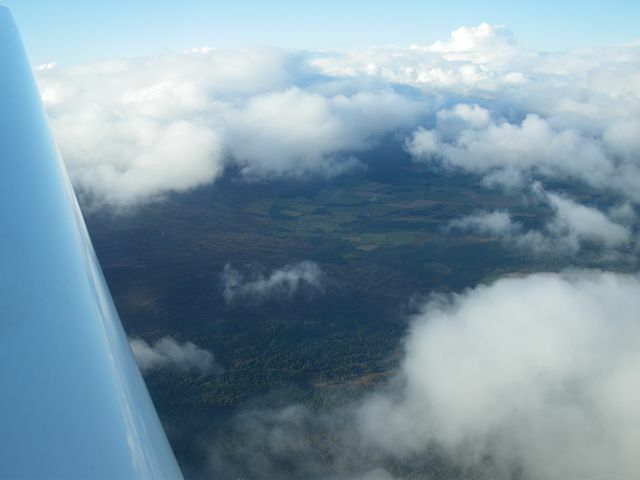 Sure enough the gaps was there and we descended 2km NNE of the airfield. When we emerged below cloudbase the setting sun shone through the Ballater gap and the deep orange crepuscular rays contrasted with the gloom under the cloud beautifully. Howard and Rob also took pictures in the DG1000, sharing Rob's camera. Again here are a selection of the best of those pics, and thanks for letting me put them online here. 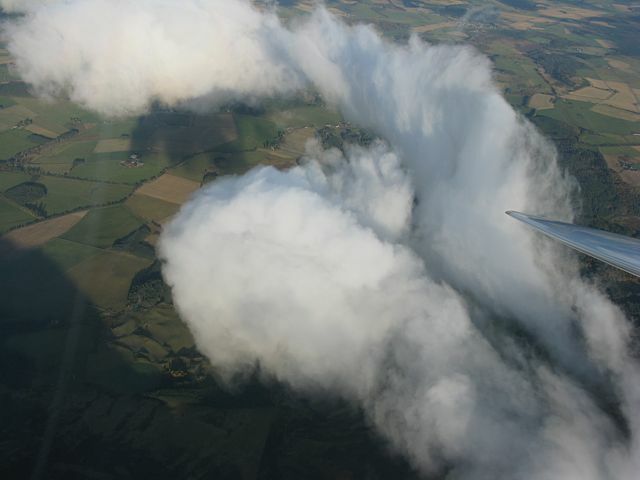 Various cloudshots as Howard (front) and Rob (back) climb up and away. More cloudshots. 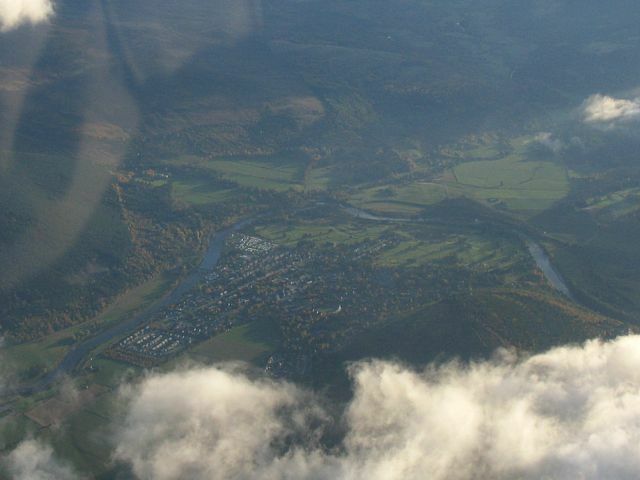 Is that Ballater from the Northwest in the 2nd pic? Rob admiring the view. 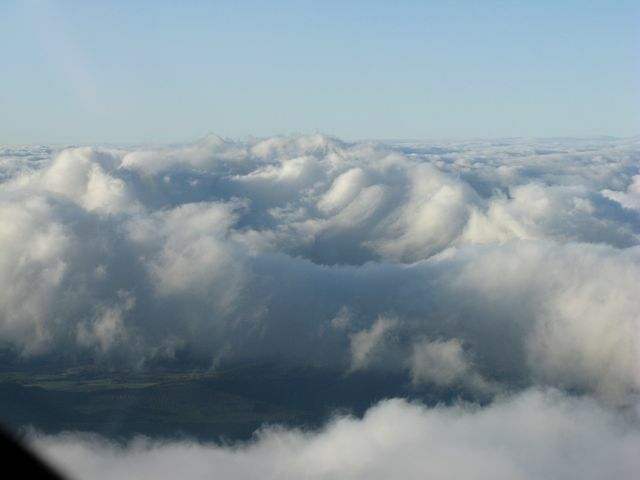 Nicely shaped wave cloud presiding over the small cumulus and mountains below. 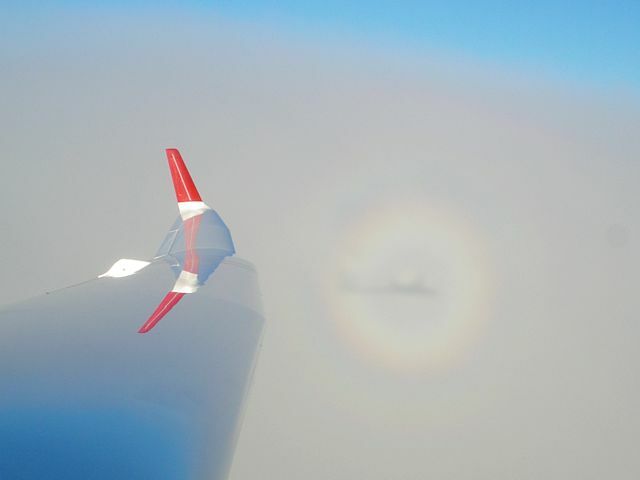 Glory with shadow of the glider in the middle as Rob and Howard surf a lenticular. 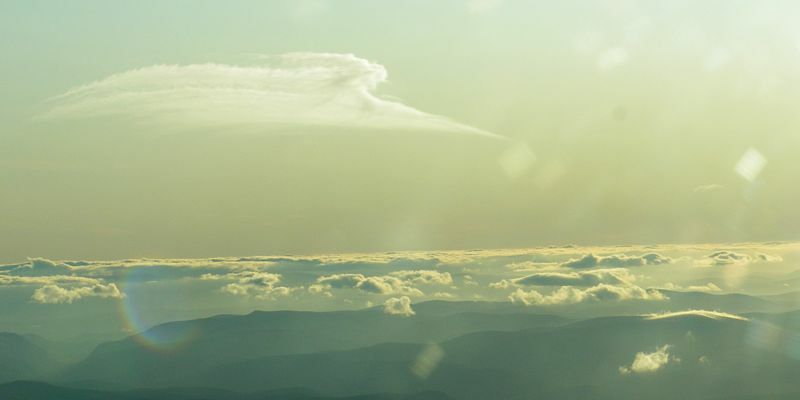 This lenticular has an exquisite structure to it! Nice capture! Continuing to surf the wave as the gaps start closing to the north. Not sure where or what this is. Rob? Howard? Let me know and I'll update this caption. This was an entertaining flight. The profile had looked good from the start despite pressure being very high (almost 1040Mb). As it dug in there was still a moderate NNW wind with a decent enough profile for wave. Although near Deeside the wave didn't go that high, further West in the lee of the higher Cairngorm mountains poking up into stronger winds the wave did indeed go higher. After Graham had a good go in the Discus in the morning, he returned back and I was handed the glider at lunchtime. I wasted no time in getting airborne. 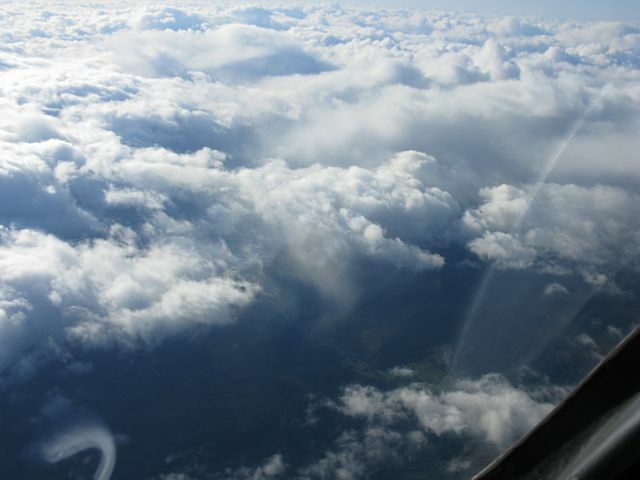 I took a tow to the West to almost 4000 feet before I released. However I failed to find the wave, and steadily fell down. 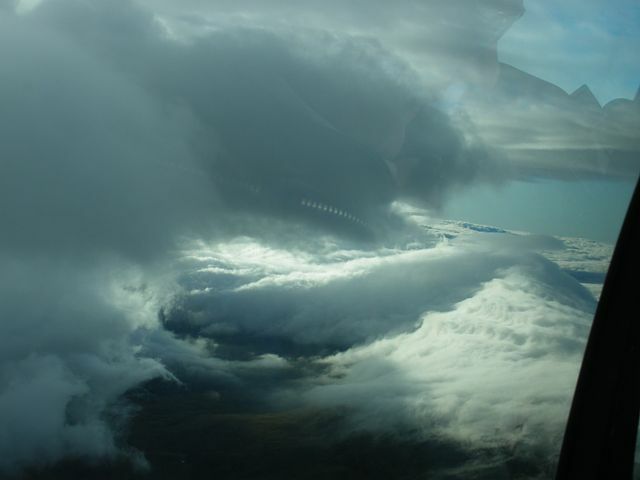 By 2500 feet I was resigned to landing back at the airfield for a relight. 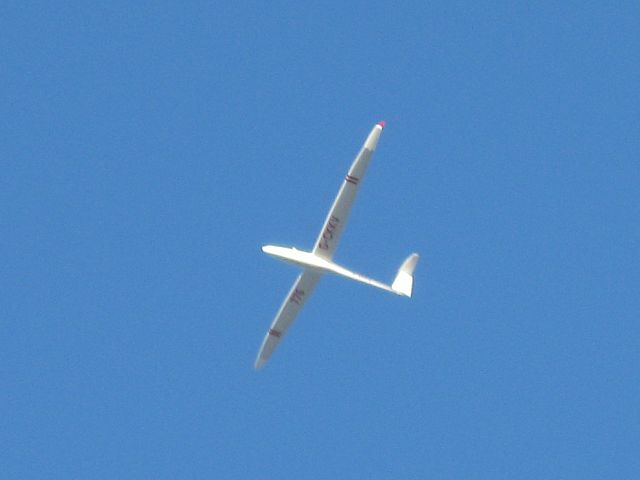 However, I then noticed gliders below me were ridge soaring the south side of Deeside between Ballater and the Lochs. 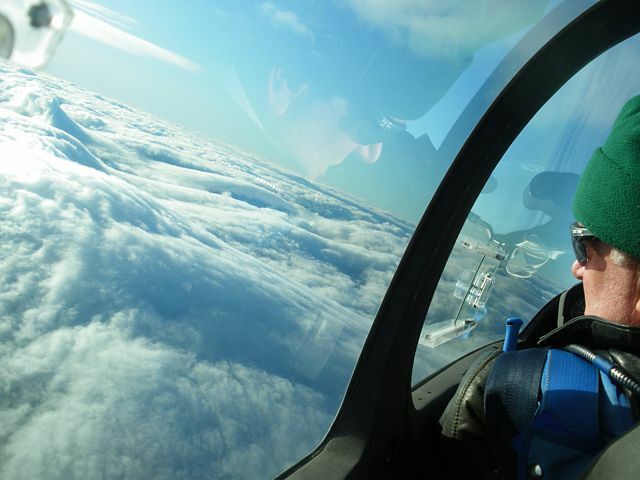 I joined them at just 1500 feet above the airfield, and managed to claw my way up to 2200 feet in ridge lift. 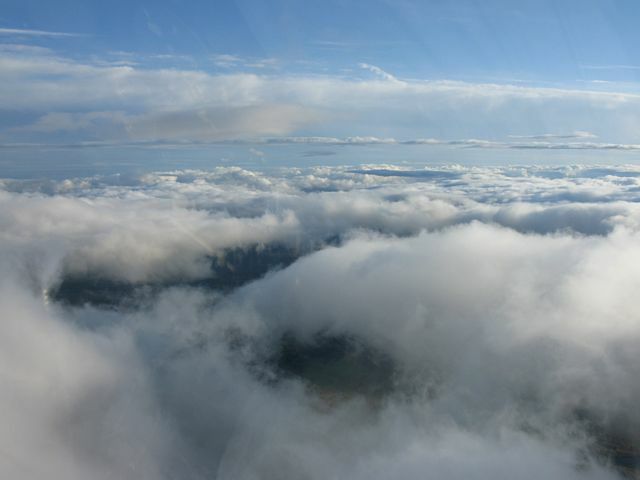 By then thermals were getting stronger, and after a few attempts, I managed to thermal my way up to cloudbase at just over 3000 feet. 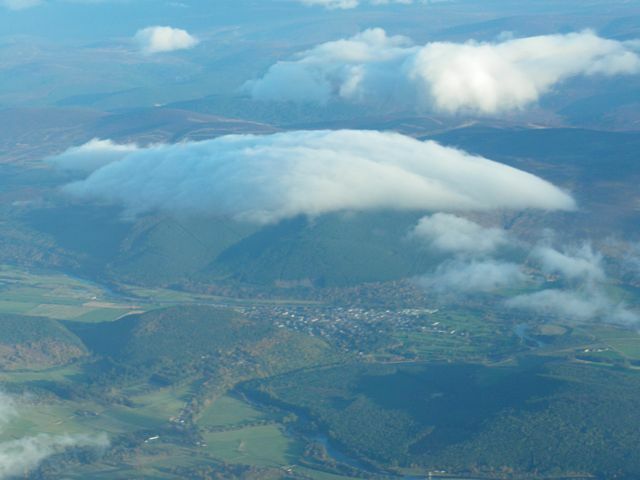 I then played about at cloudbase near Ballater. 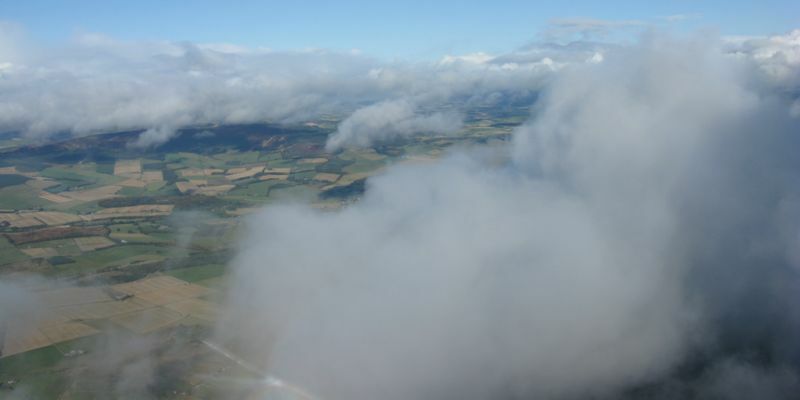 Then as I pushed North towards Ballater I suddenly found myself rising up through the gaps between lots of small cumulus clouds at a steady 4kts. Yes! I had just scrabbled my way off the ridge and connected with the wave. 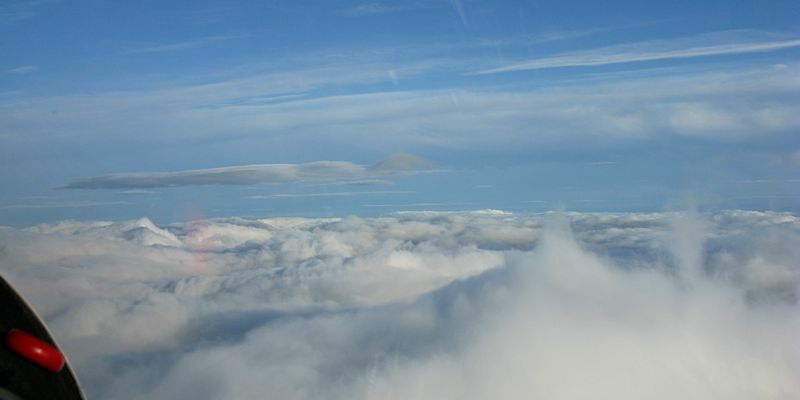 I climbed above the lower cumulus, went through a thin layer (probably a low lenticular) just above them, and was then above cloud. I carried on climbing at 3-4kts until 7000 feet. Then I decided to explore West further up Deeside as I'd heard people getting to good heights there. Near Braemar at 8500 feet I decided to jump north a bar as it looked like it was going well there. I lost 1000 feet but it was worth it. 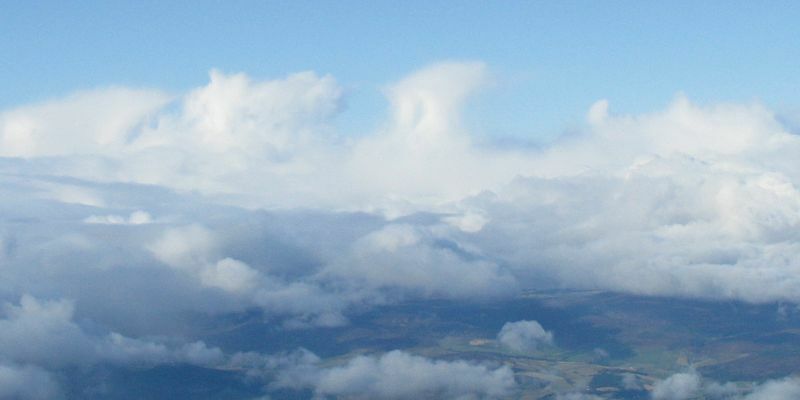 At 7500 feet, 8km NW of Braemar, I found 4-5kts of wave lift in the lee of Derry Cairngorm and climbed again. 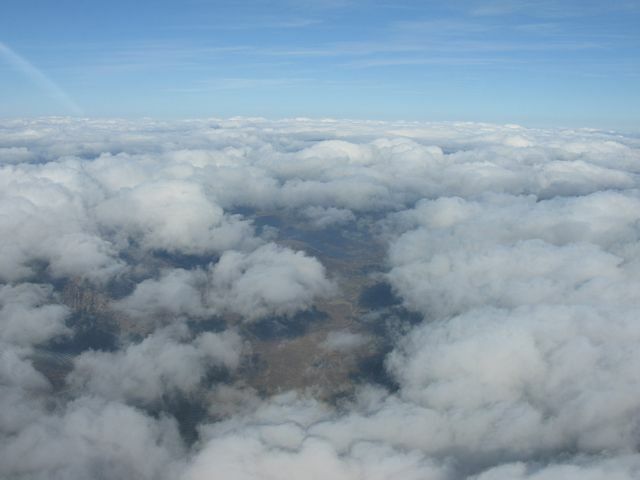 I was soon above 10,000 feet. 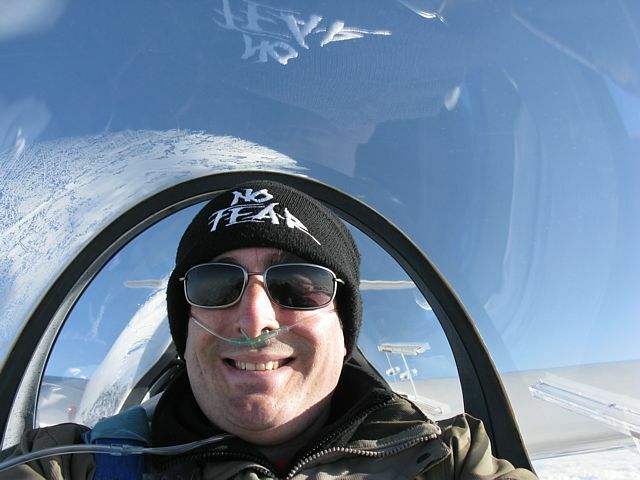 I then heard I could stay up longer as the only other person who wanted to fly the glider was helping with a field landing retrieve (Bob in the Ventus 2cxt). 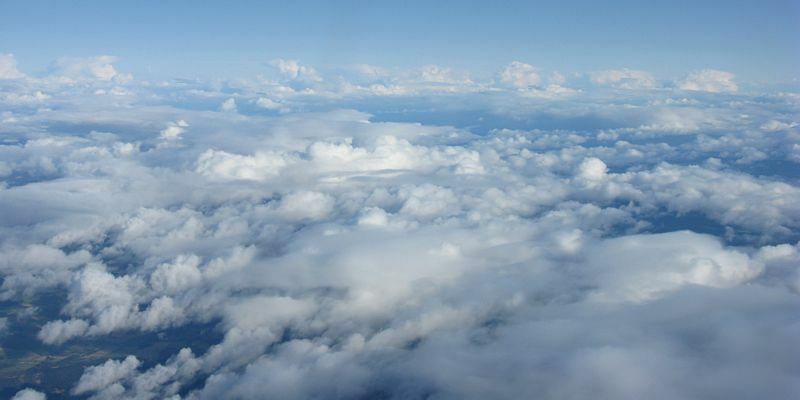 (Earlier in the flight I had relayed a message to Aboyne from him.) So I carried on climbing, and at 19,500 feet (about FL193 on the day) I had to break off due to airspace with 3kts still on the vario. I wonder how high it might have gone? 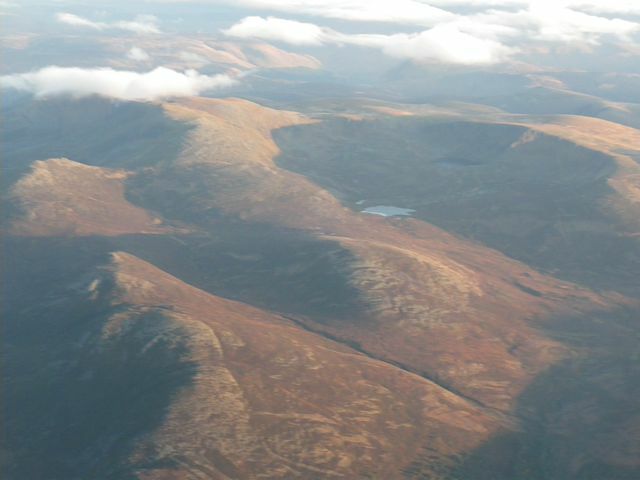 I then flew East towards Corgarf, holding 19,500 feet for a fair while in weak lift before I moved away from the lee of the Cairngorms. Then a pleasant slow and steady descent taking plenty of pictures on the way, to land after 3 hours 32 minutes. 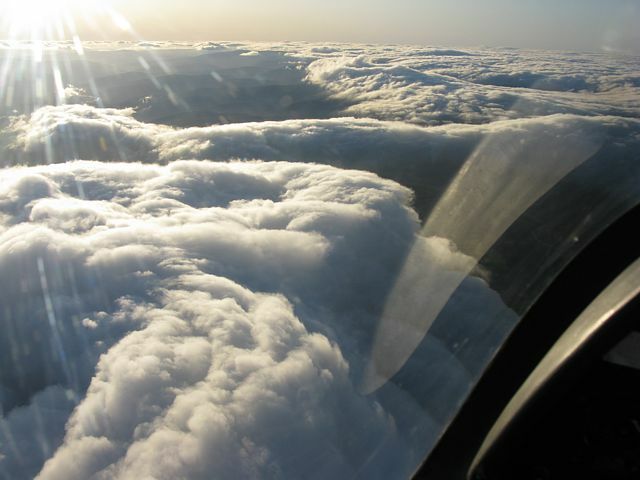 This flight was the first time I'd used all 3 forms of lift, ridge, thermal and wave, in one single flight. 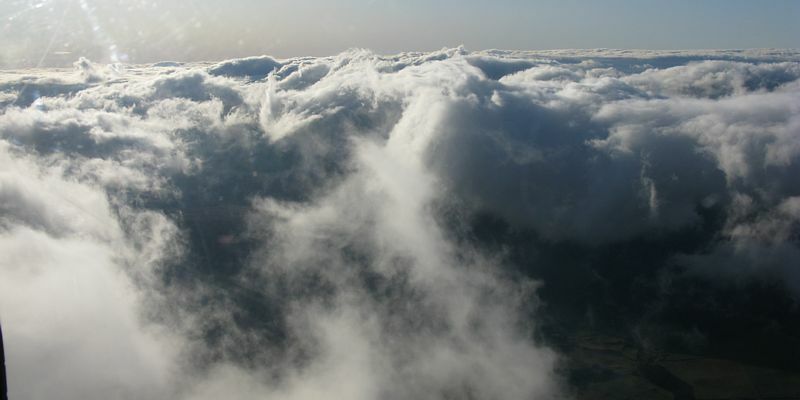 In a way falling down on the ridge was a blessing in disguise, as it added a whole new dimension to the flight. 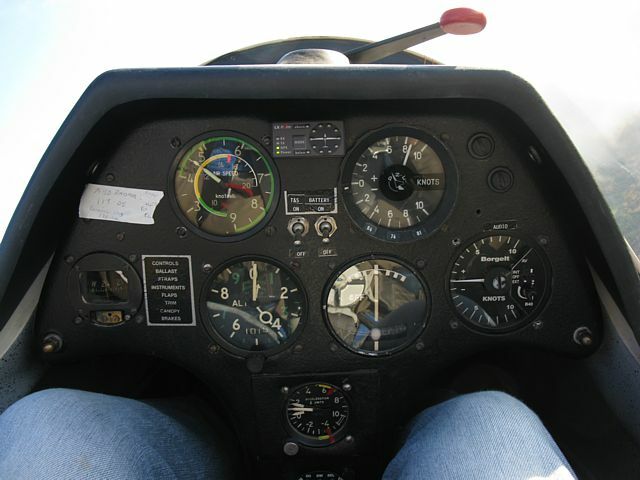 With such a low low point of 1500 feet this was another flight that qualified for diamond height. 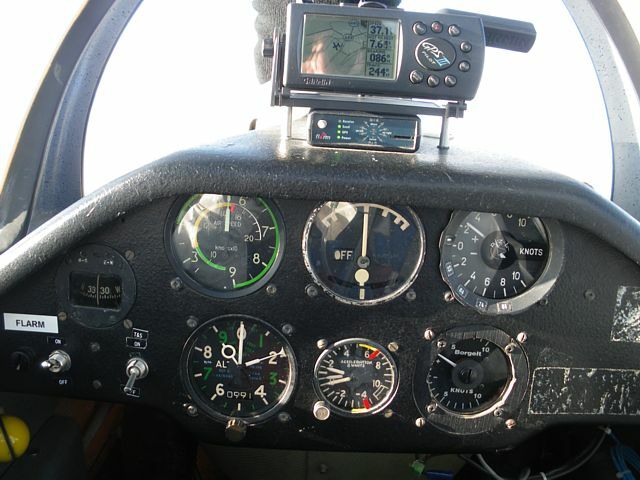 (However, it was without the pressure of bagging it as I got mine in 2007 with that climb to 24,000 feet.) 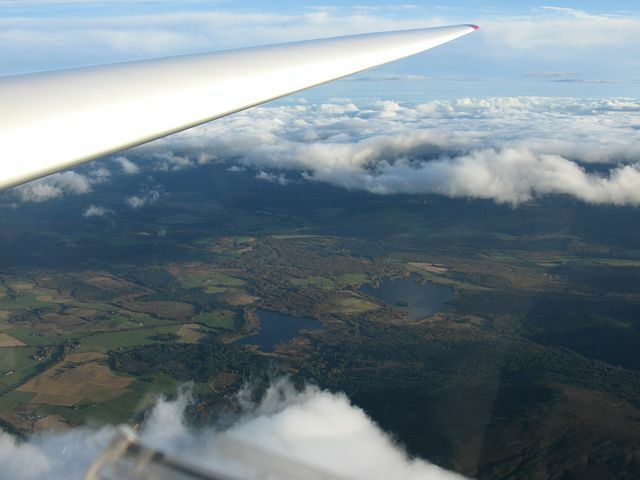 A great way to end my 2009 soaring season! 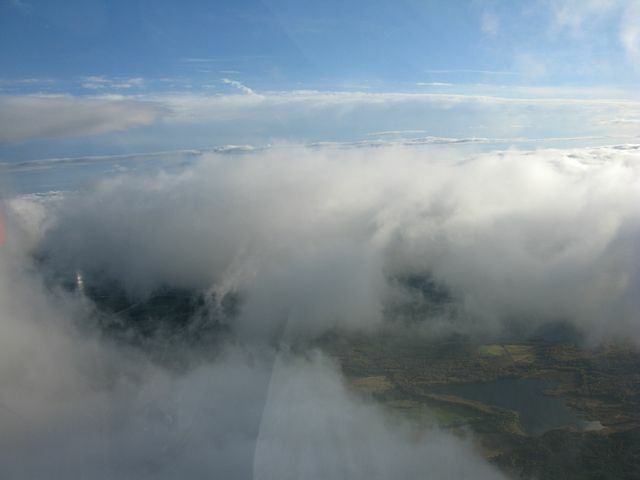 Soaring the ridge and thermals south of Cambus O May after falling down from an aerotow. 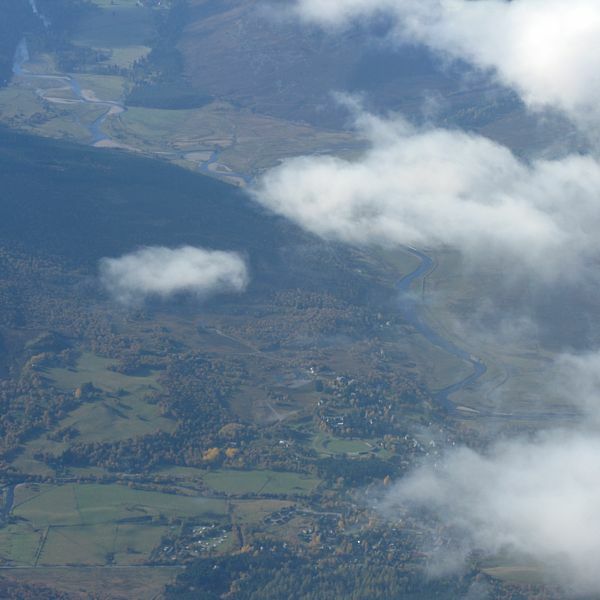 Ballater and Deeside (Lochs far right) look bigger from below cloudbase. 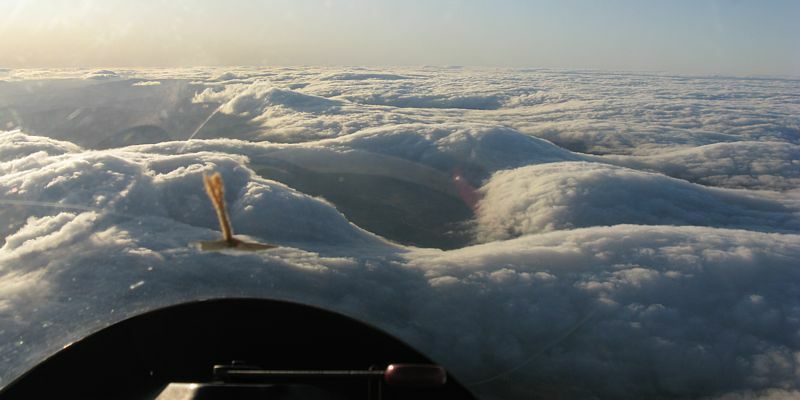 Connecting with wave and climbing up past the cumulus clouds. 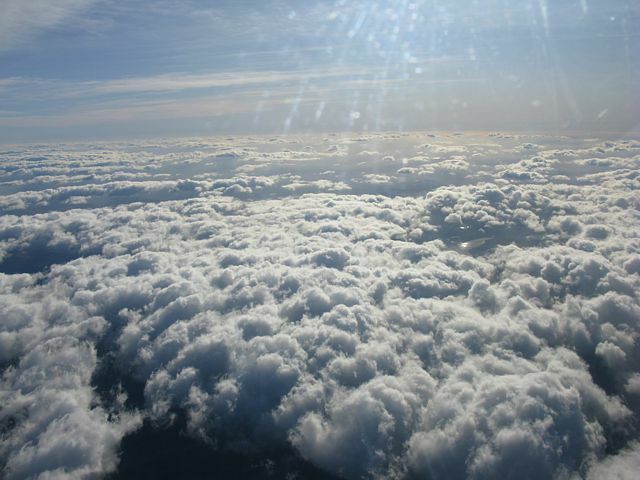 Emerging above the thin layer above the cumulus clouds. 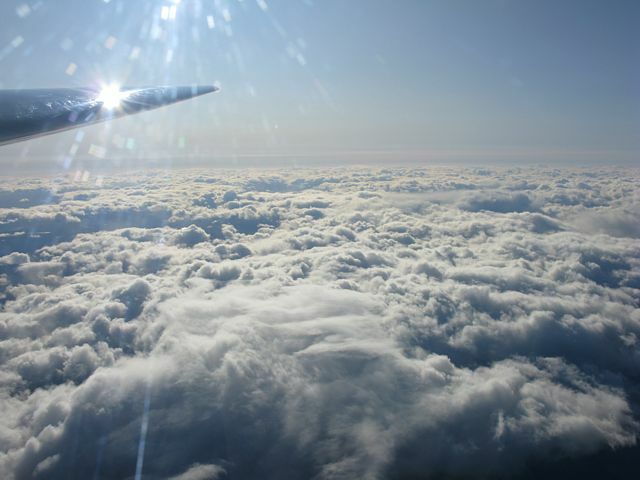 Up up and away!!! The first time I've seen the Western Highlands from Deeside. 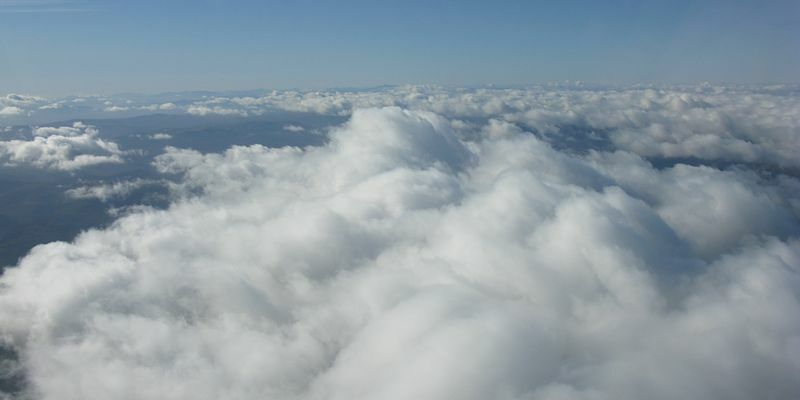 Normally they are covered by cloud. Anyone got any idea which mountains I have captured? 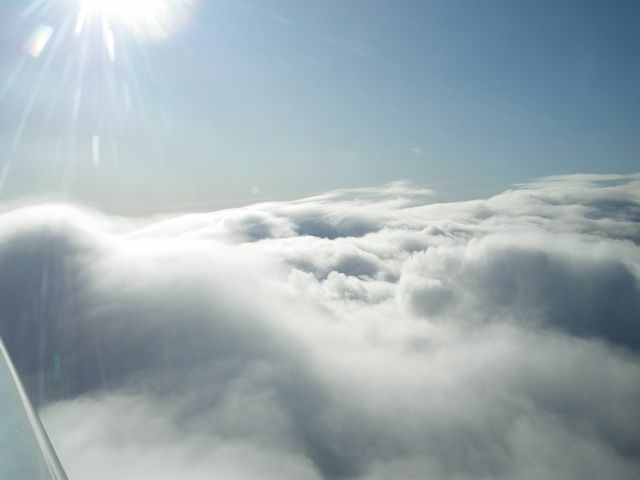 A couple of 2 shot panoramas of the cloudscape as it recedes below me. 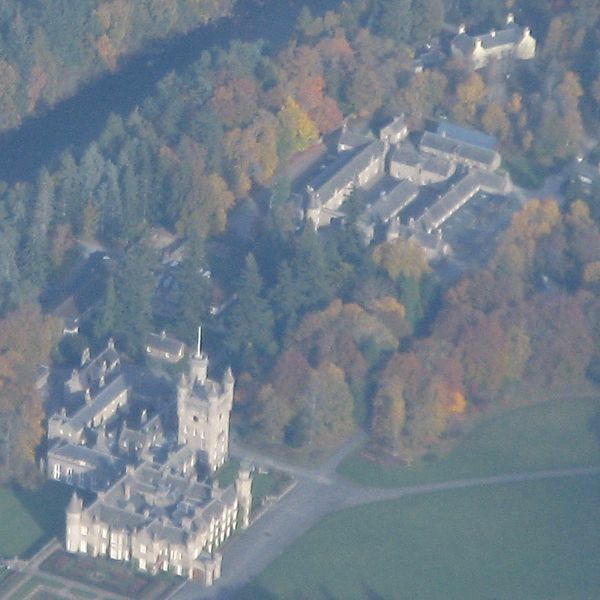 Balmoral castle was spotted as I flew West towards Braemar. 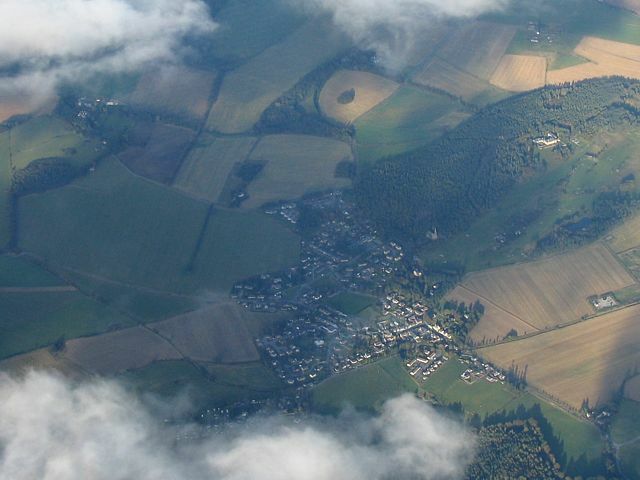 Braemar is bottom right. The A93 travels towards Glen Shee to the left, while the river Dee carries on ahead of me. 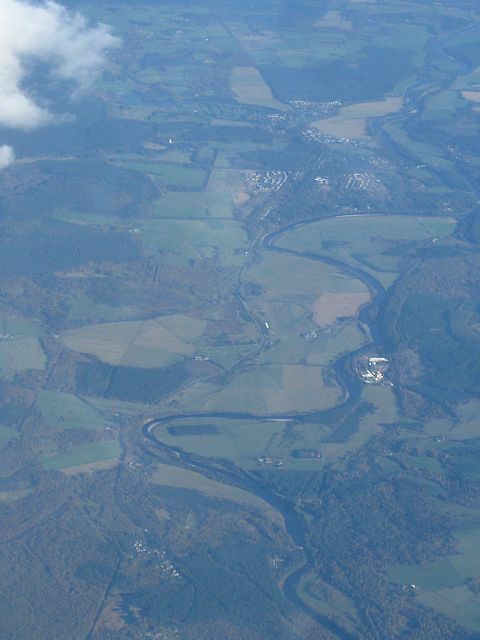 A closer shot of Braemar and further West to Linn of Dee. 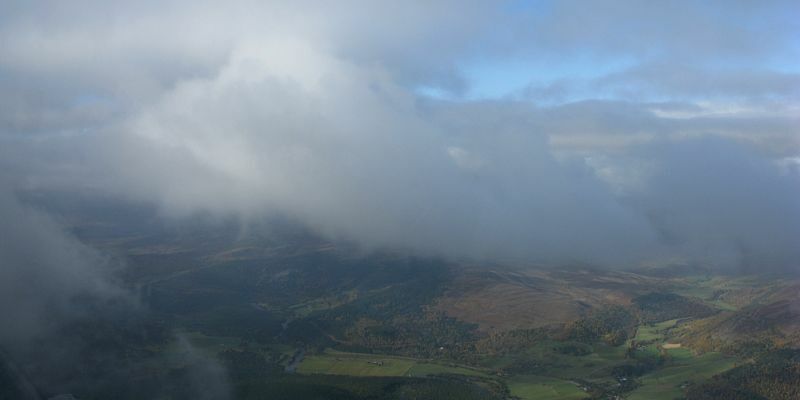 More cloudshots as I climb in the lee of Derry Cairngorm. A 2 shot panorama looking East along the wave bar towards Morven. 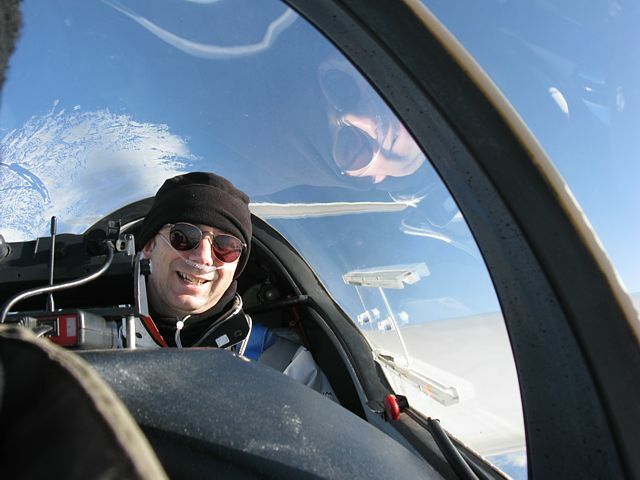 At about 16,000 feet climbing still at 4kts I had a go at taking a 360 degree panorama of me in the Discus. 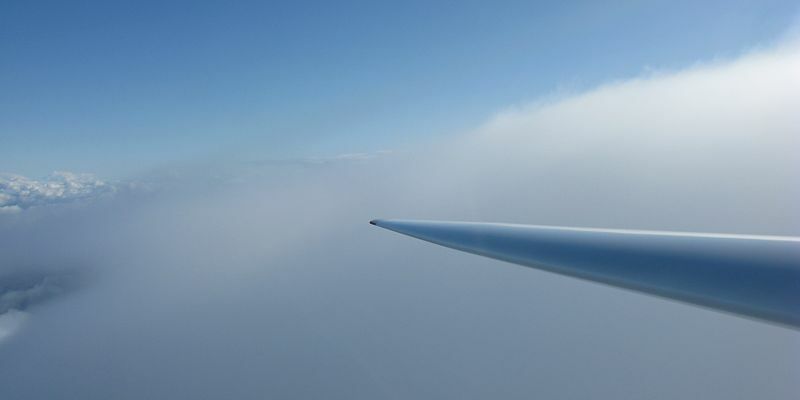 the glider is pointing NNW into wind as up here the wind is stronger than my stall speed allowing me to 'hover' relative to the ground. I got my canular straight this time but now my hat's wonky. Doh! 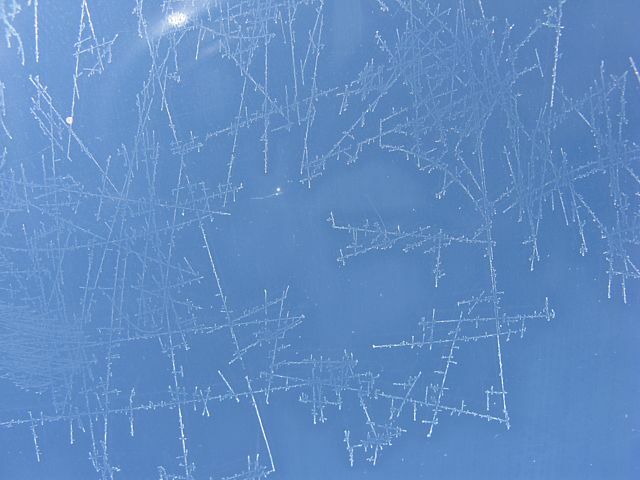 Ice crystals on the inside of my canopy as I approach 19,500 feet. 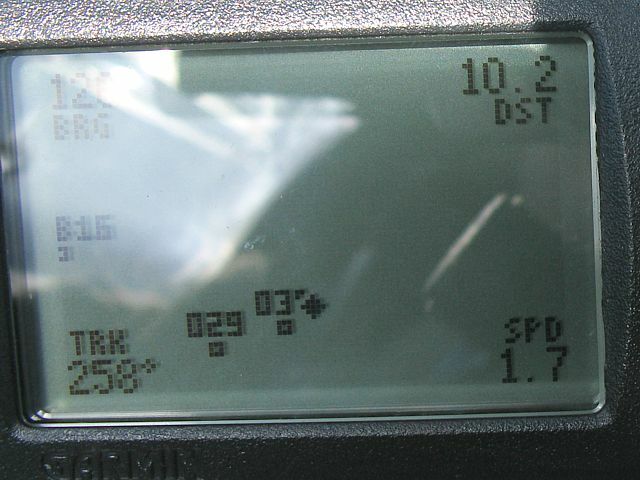 Attempting to match my speed to the wind I managed to reduce my ground speed on the GPS to just 1.7kts! 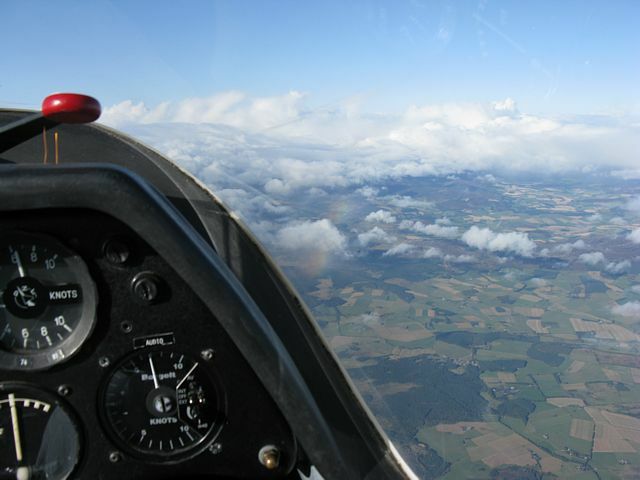 19,500 feet, FL193, time to break off as I am well west of Aboyne's wave box so can't go any higher here. Shame that as I was still climbing at 3kts. Looking out over the Tarland bowl as I move East again. The north sea visible in the distance. 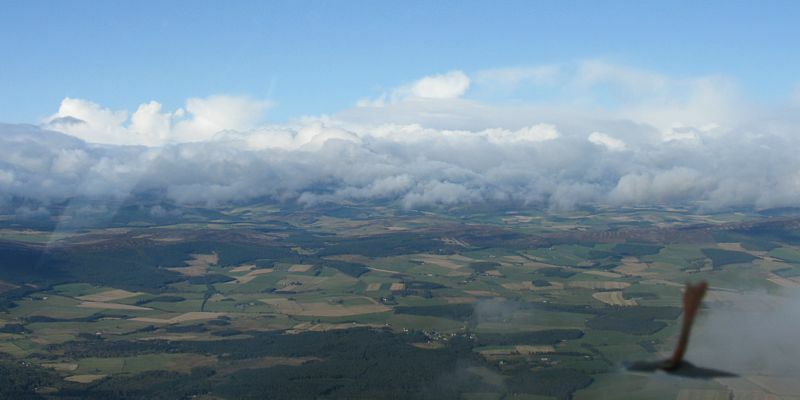 Playing around somewhere high above the Morven area. 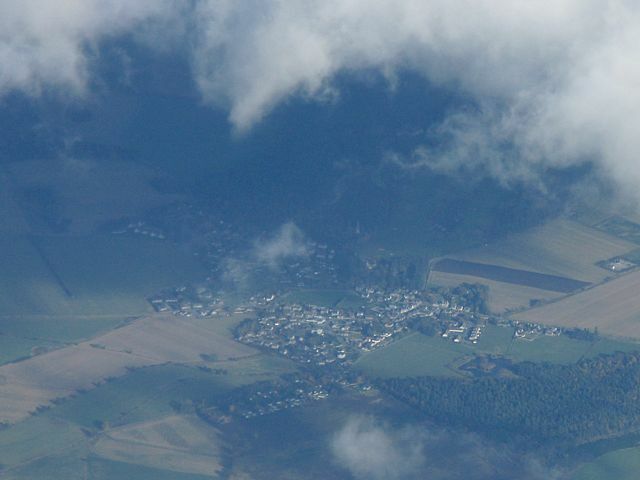 Looking down at Deeside Gliding club and Aboyne beyond it. The Tarland bowl. 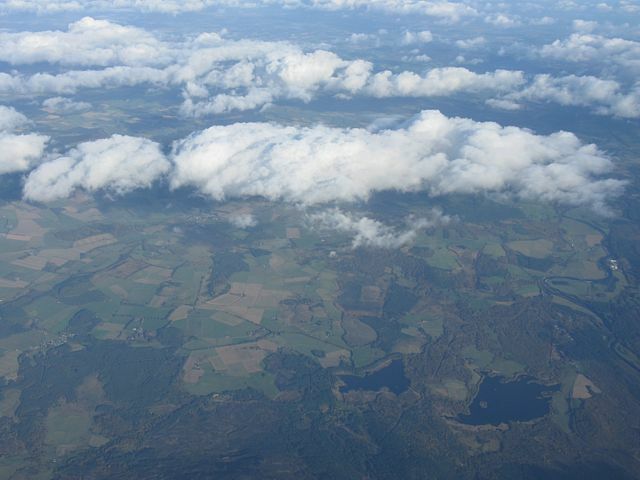 The Lochs are bottom right, Tarland just up and left of centre almost beneath the left edge of the central cloud. DGC far right. 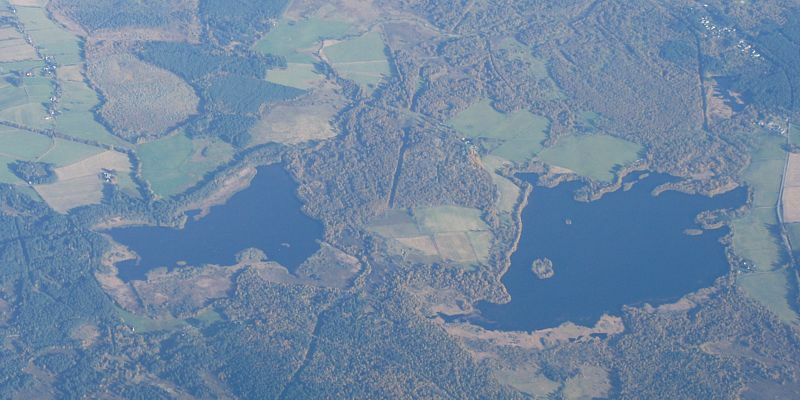 A closer look at Tarland and the Lochs (Davan left, Kinoord right). More cloud to my Southwest, but cloud amounts were steadily reducing. The wave was completely blue. 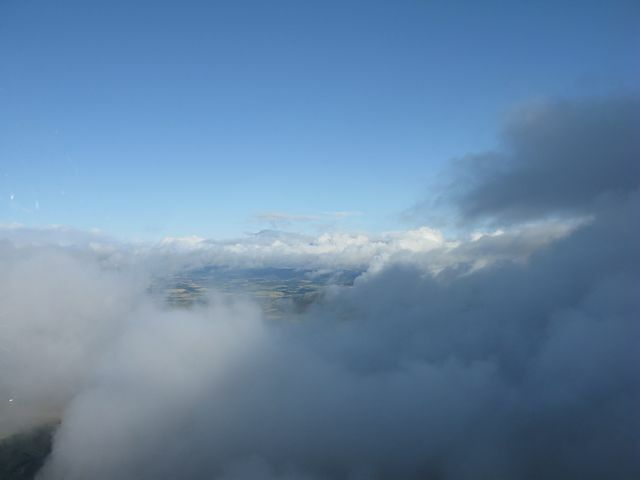 While descending past about 15,000 feet, I turned a full circle somewhere near Morven while repeatedly taking photos. The result was this 360 degree panorama. The Tarland Bowl is near the left edge, and is East, making West to the right of centre. 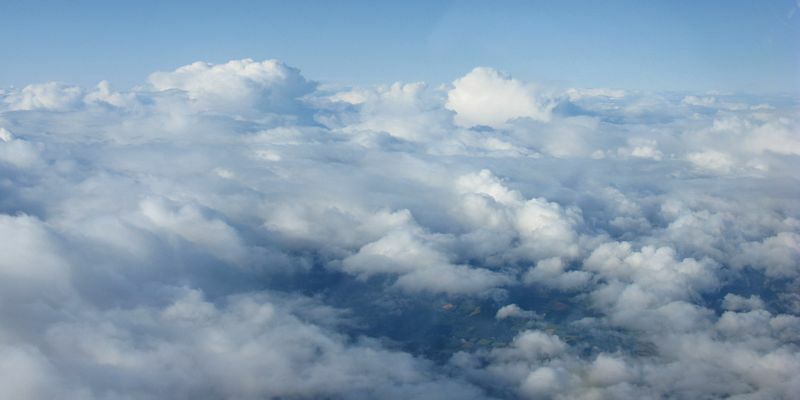 Another 2 shot panorama as I descend and approach the cloud tops at around 5000 feet. 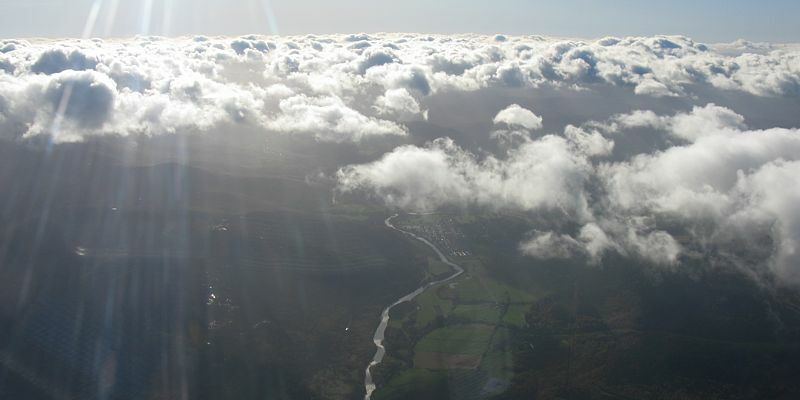 More cloudshots as I descend after a gorgeous flight. 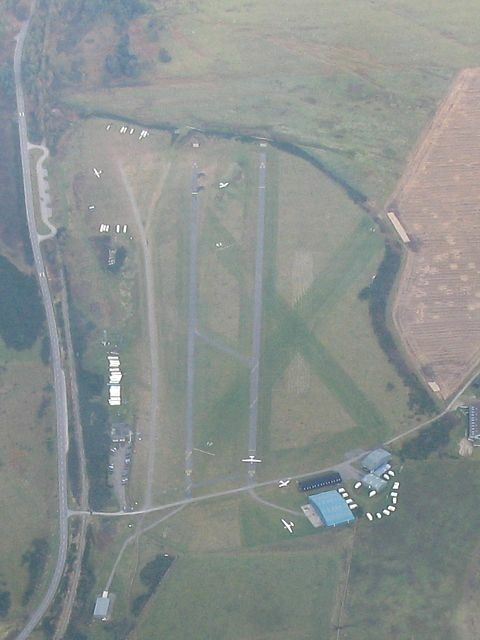 One more shot of DGC ahead to the East before I stow everything and go in to land on grass runway 30 (top right to bottom left). Please click here for pictures taken from the ground.